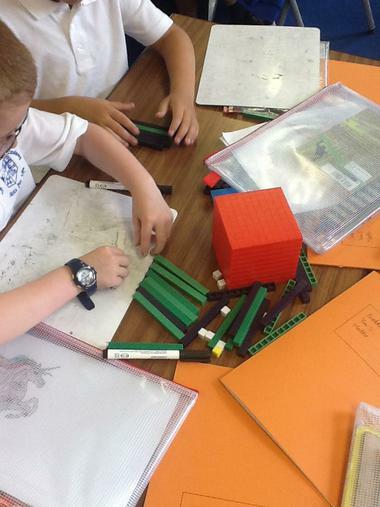 Useful Website - There are some useful links here, which may help you with your homework. 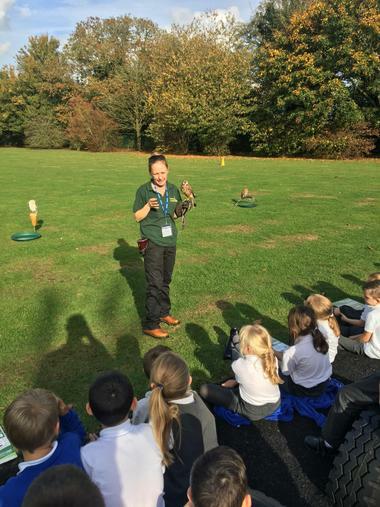 Year 3 were very lucky this afternoon to have a visit from Tales of Talons! 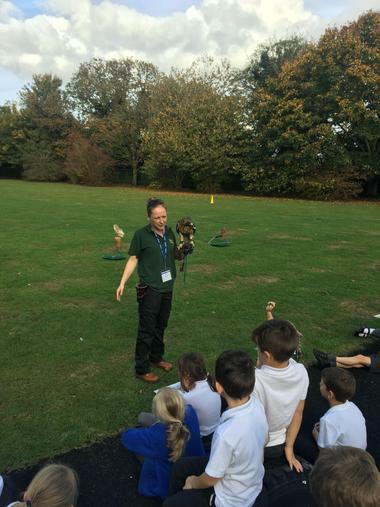 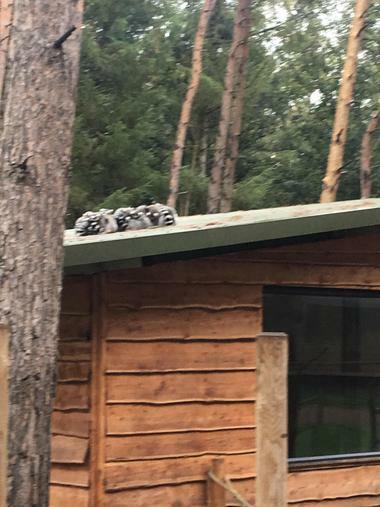 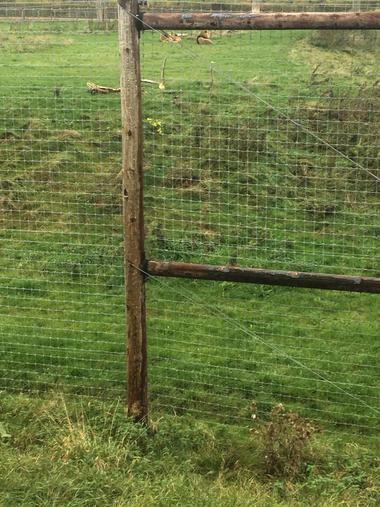 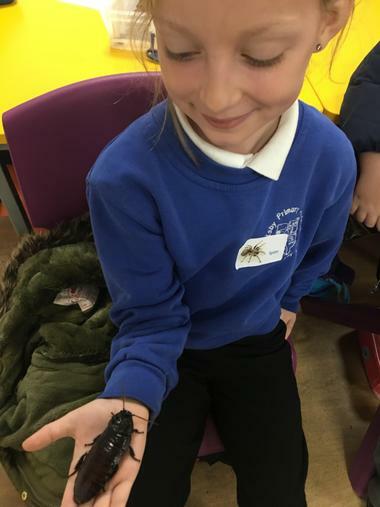 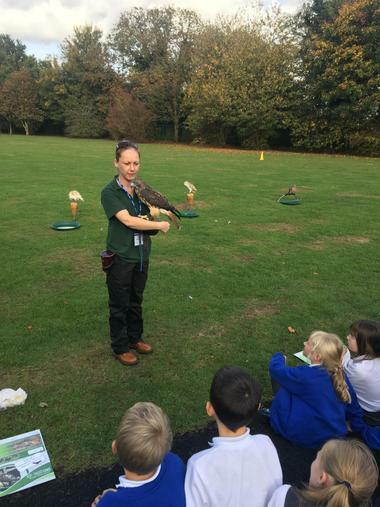 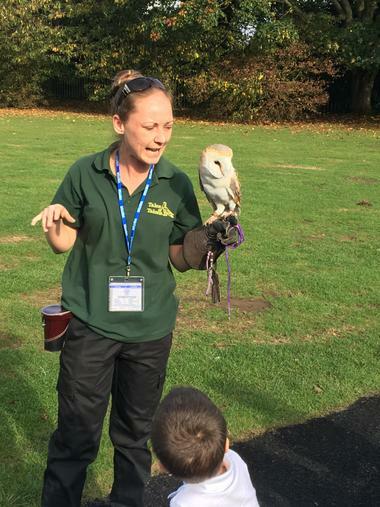 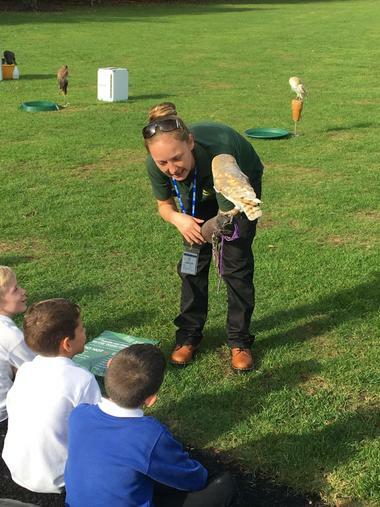 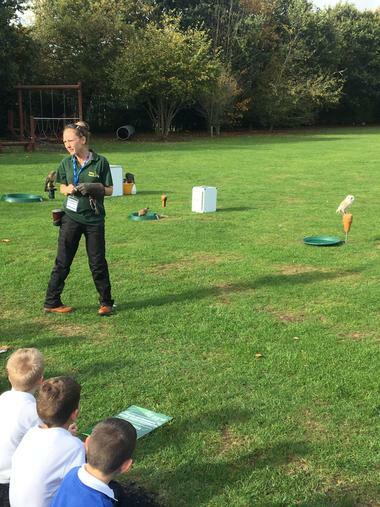 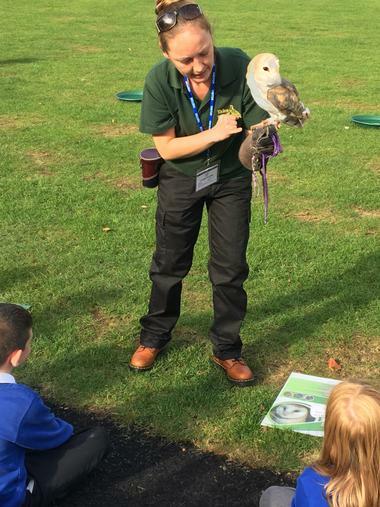 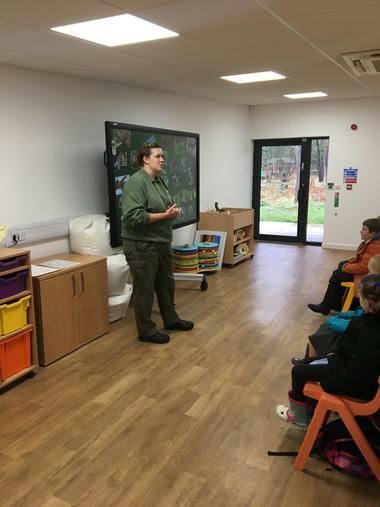 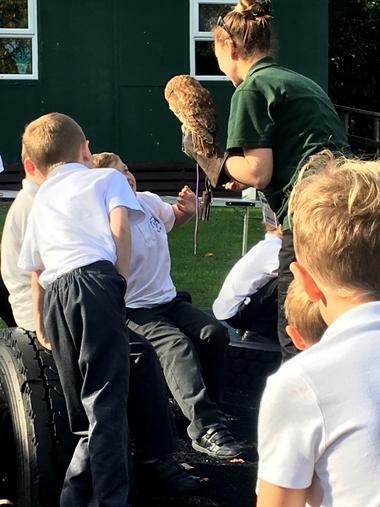 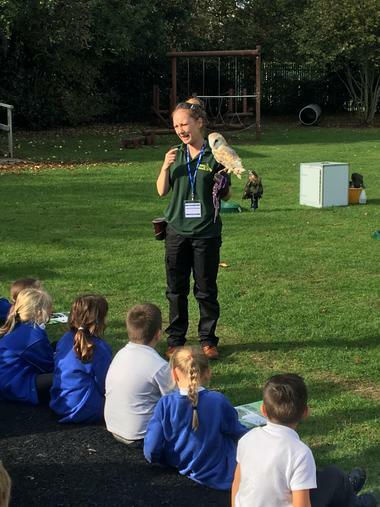 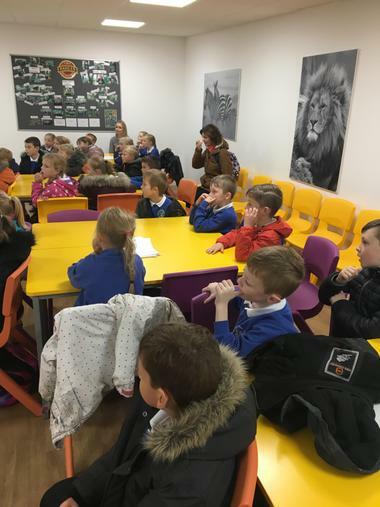 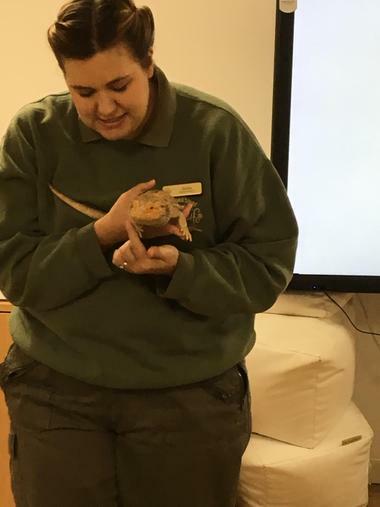 They had the opportunity to see birds of prey close up as well as questions to find out more information about the predators! 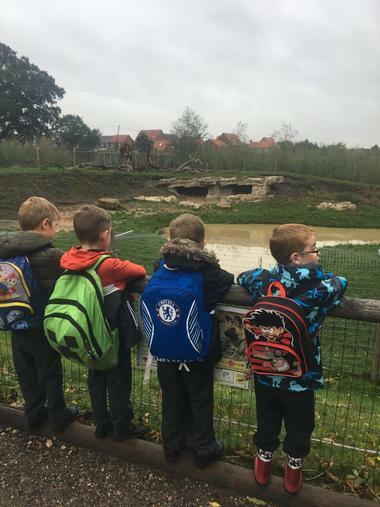 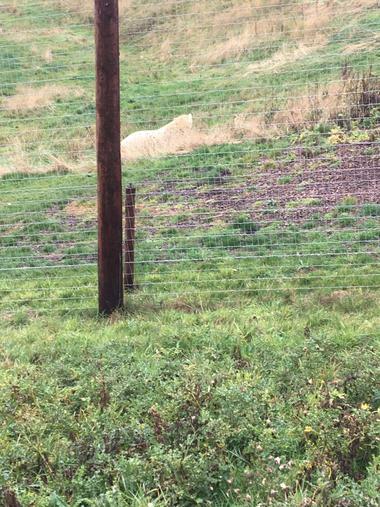 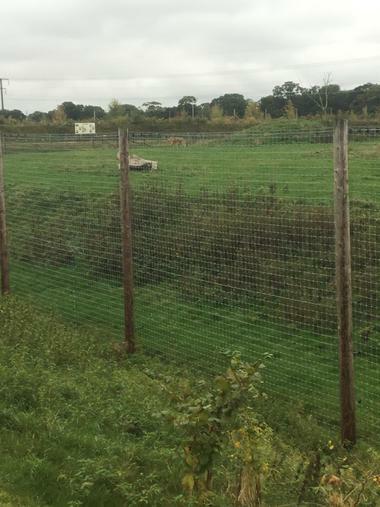 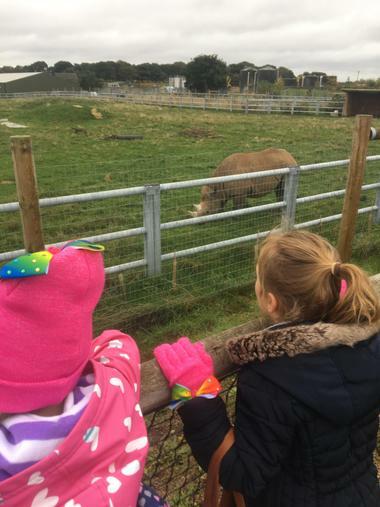 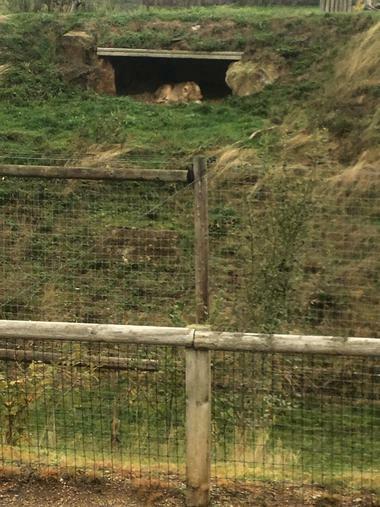 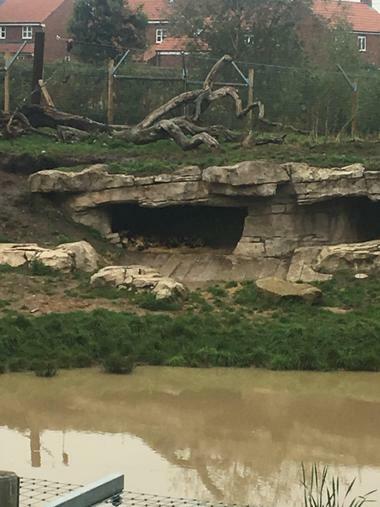 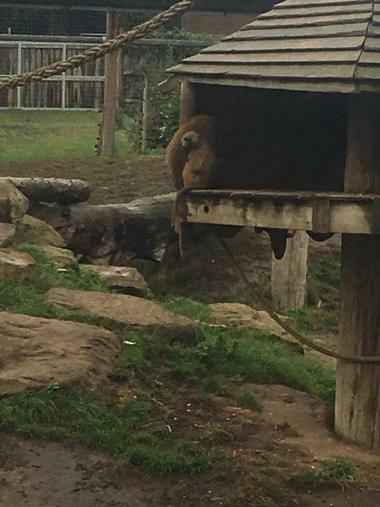 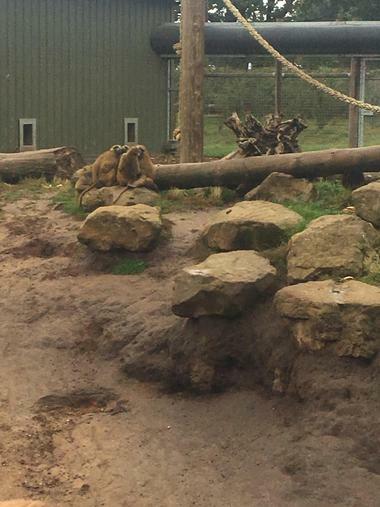 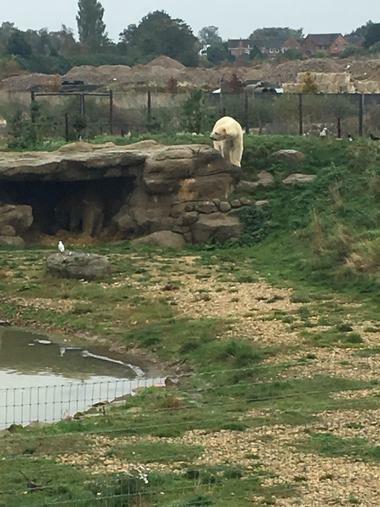 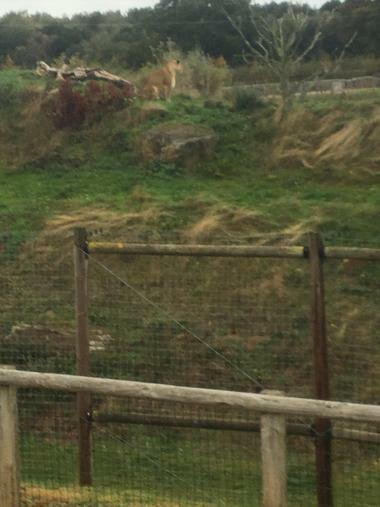 Year 3 had an amazing day at the wildlife park. 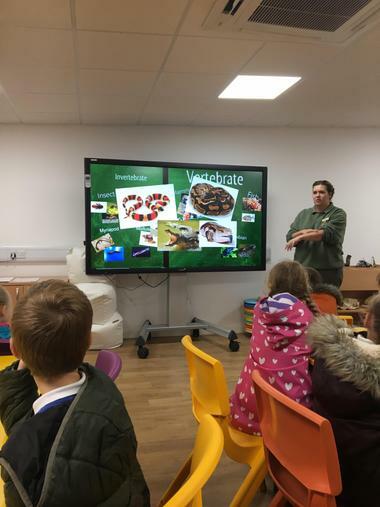 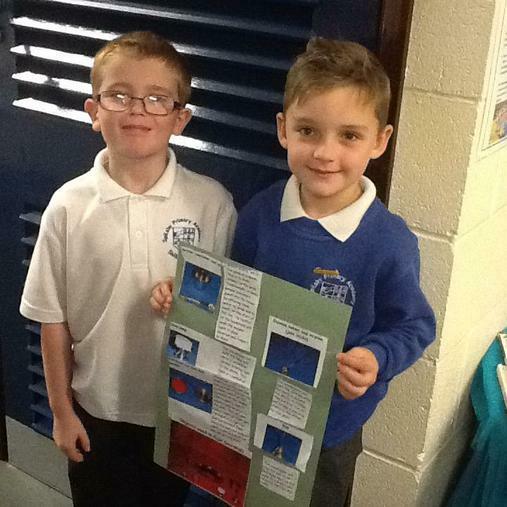 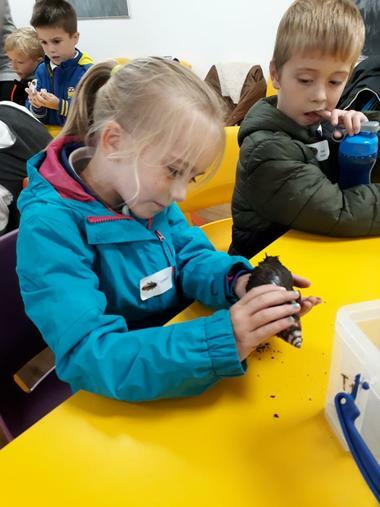 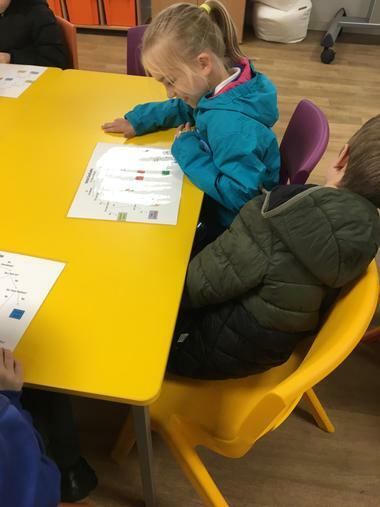 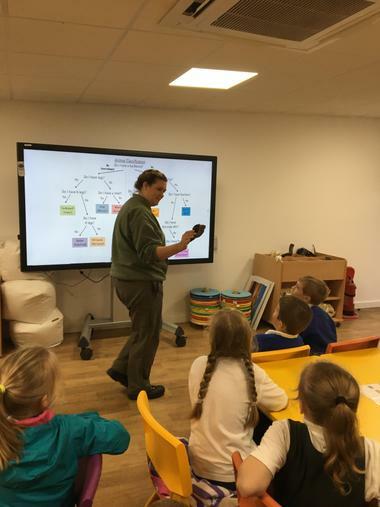 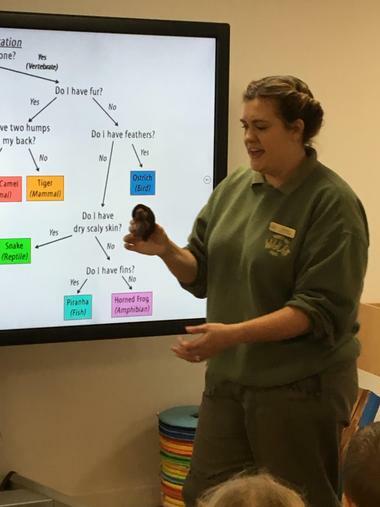 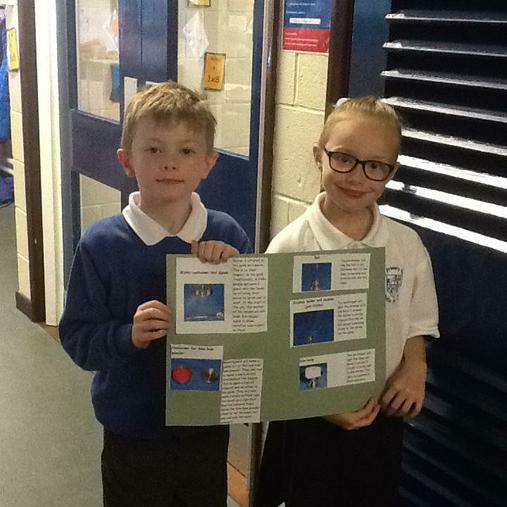 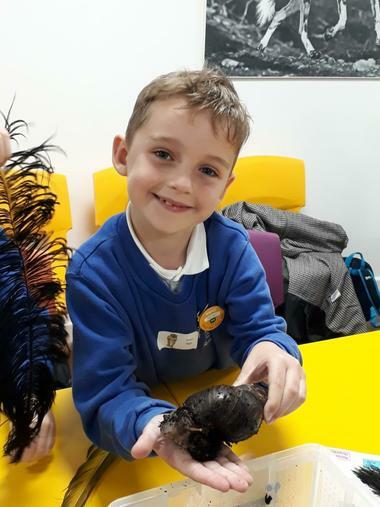 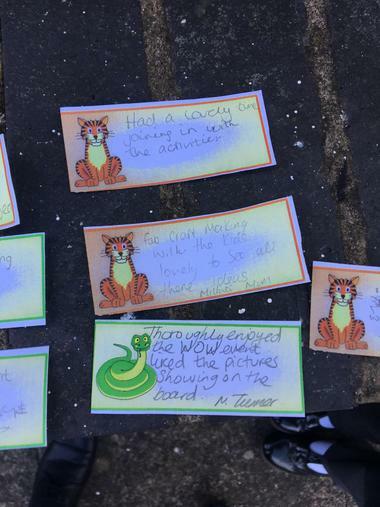 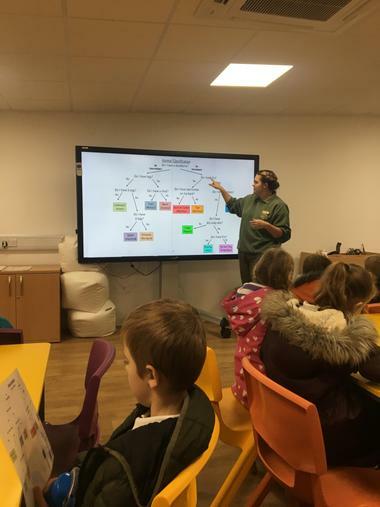 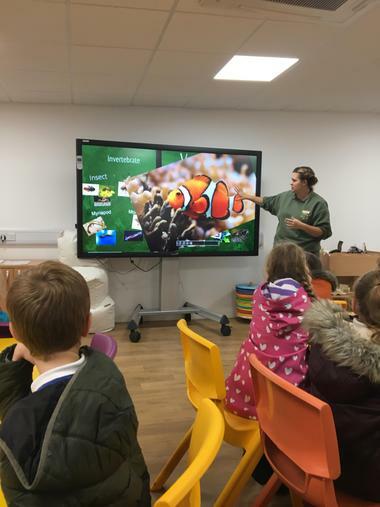 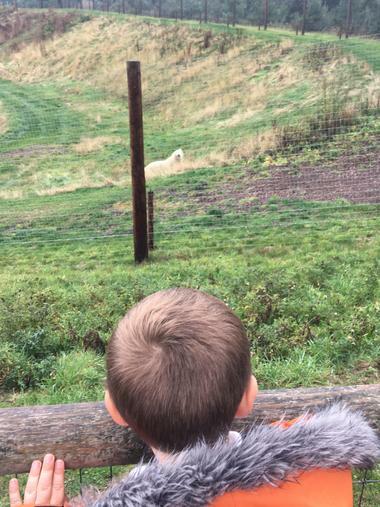 They got to see lots of animals from their project as well as looking at classifying and grouping animals using classification keys. 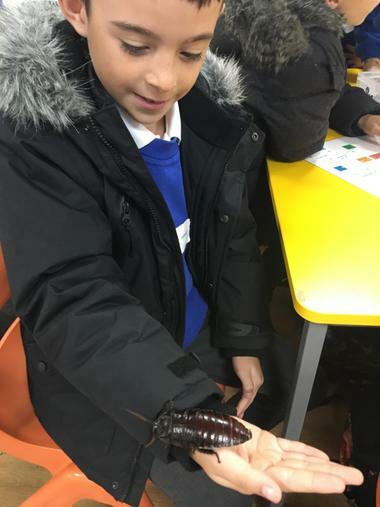 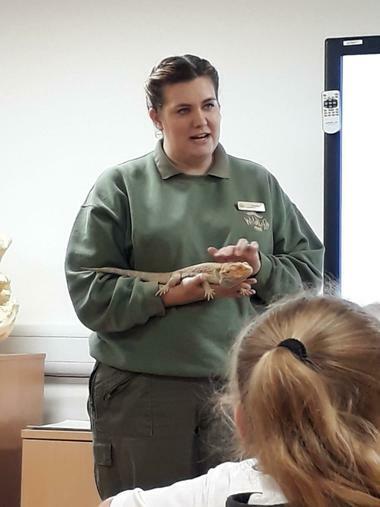 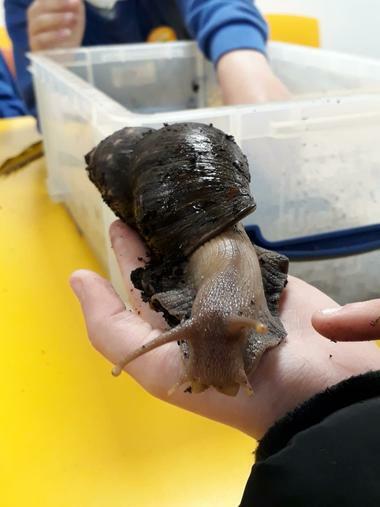 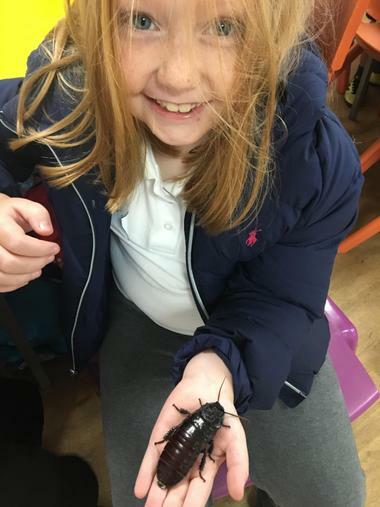 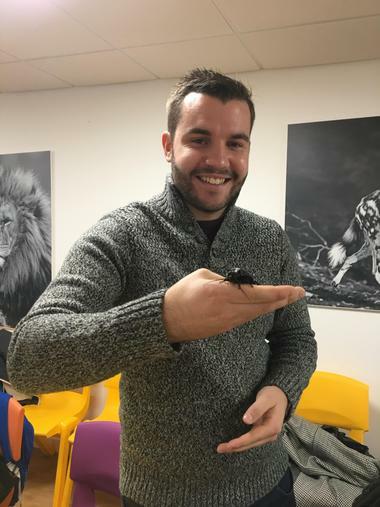 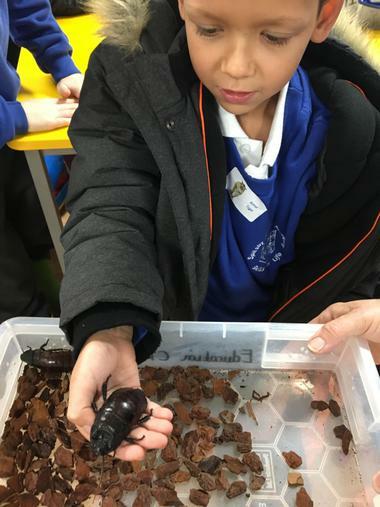 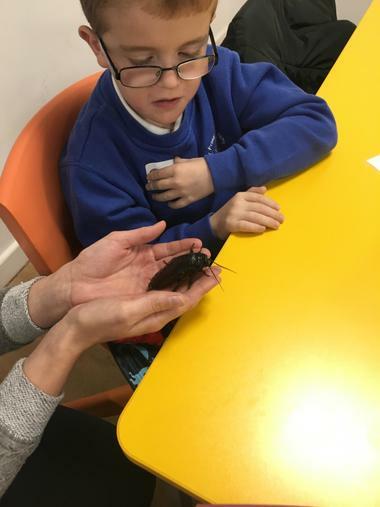 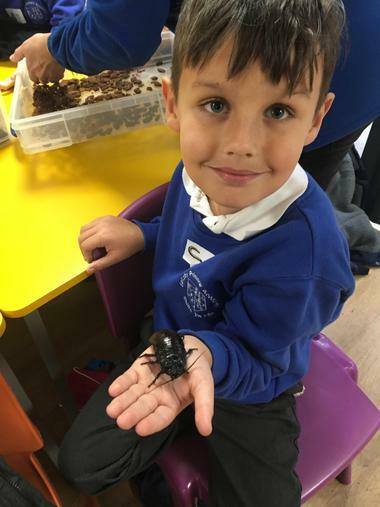 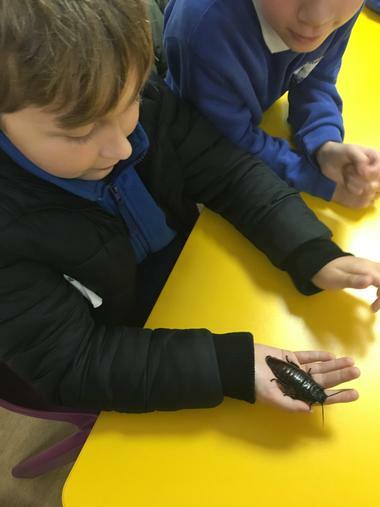 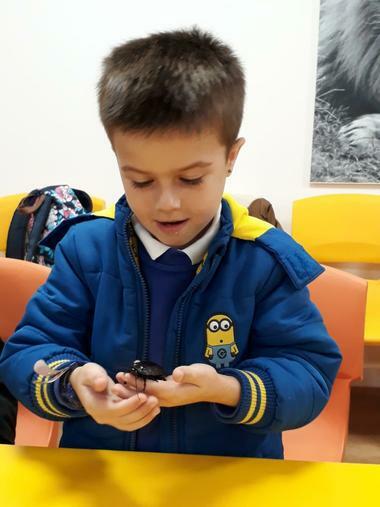 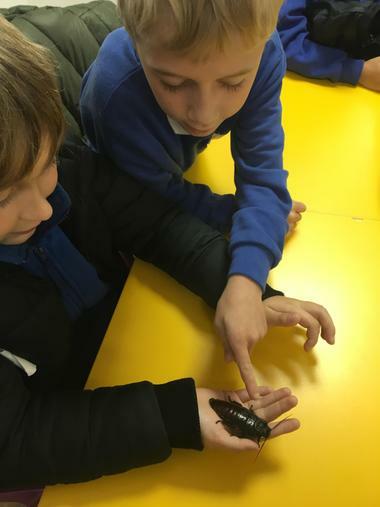 Moreover, they got to hold some live creatures during the education workshop! 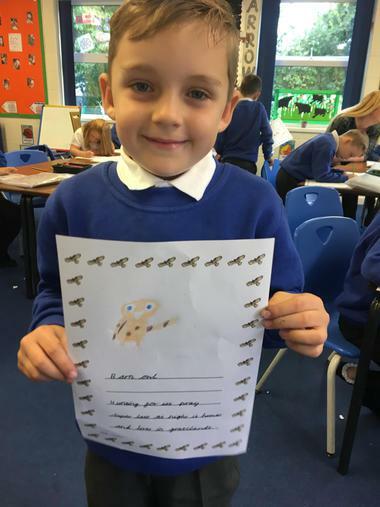 This afternoon, Year 3 looked into the gruesome world of Human Parasites! 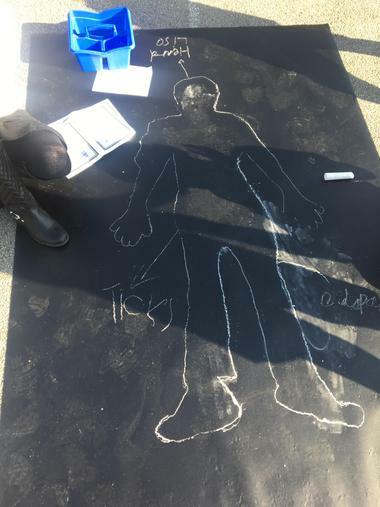 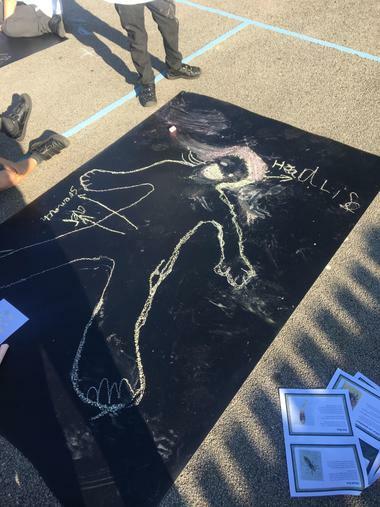 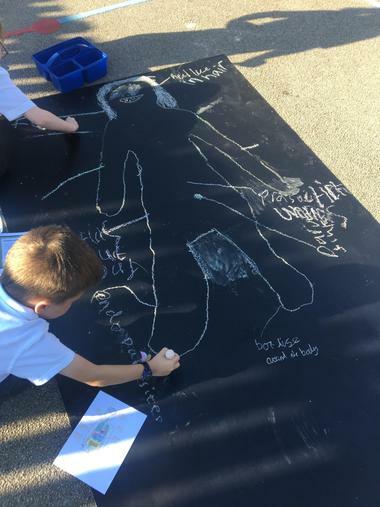 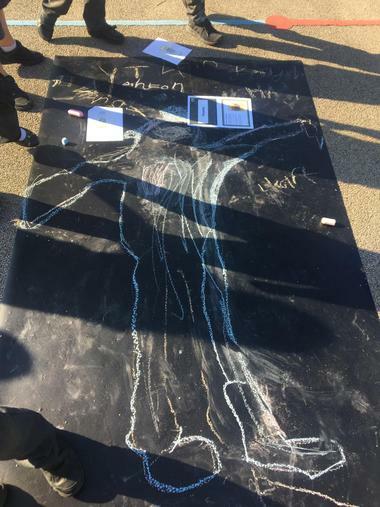 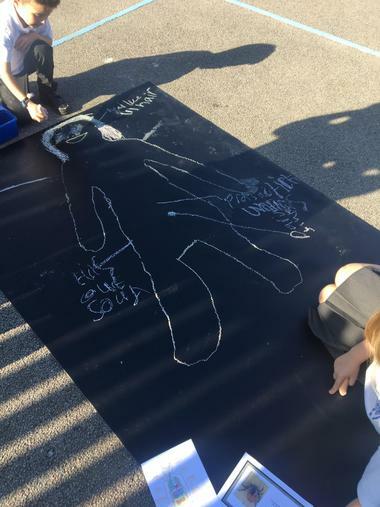 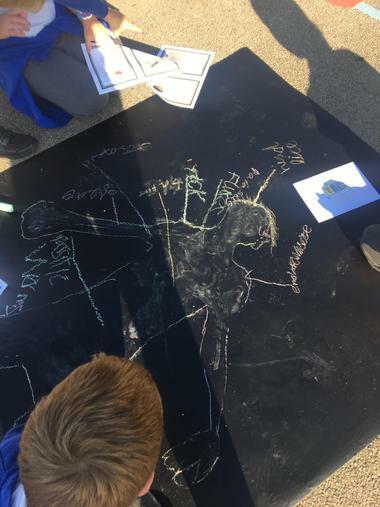 They looked at where the parasites lived on the human body as well as what some of the symptoms were for different parasites that used human bodies as hosts. 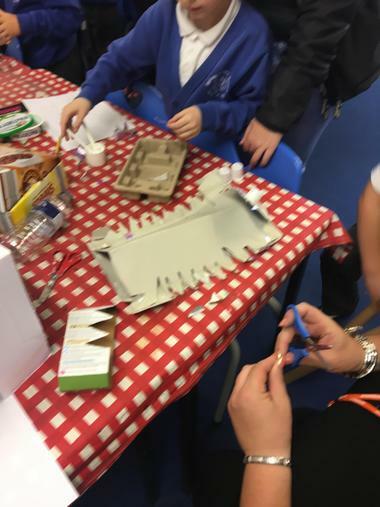 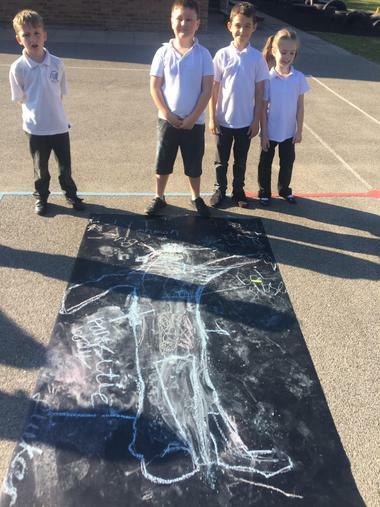 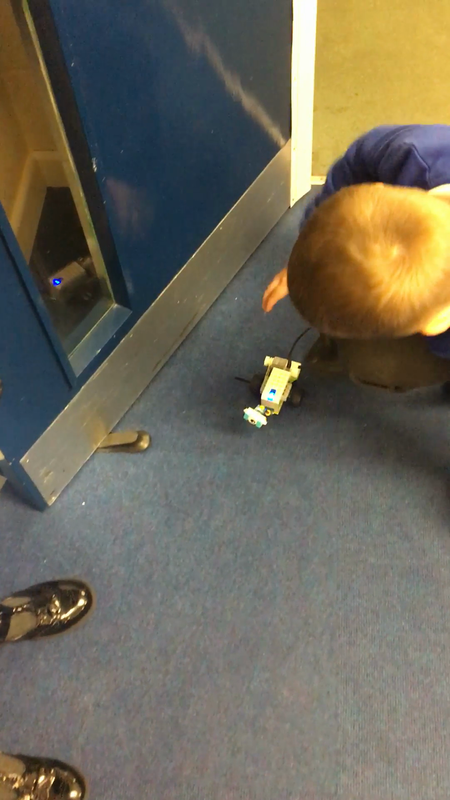 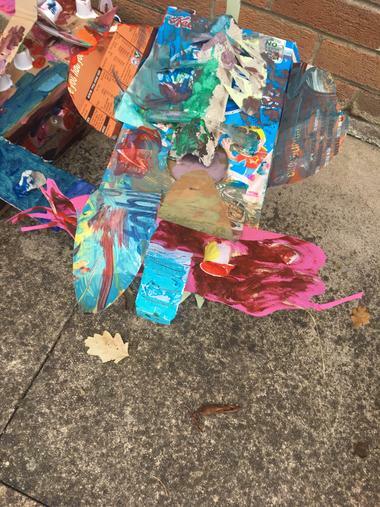 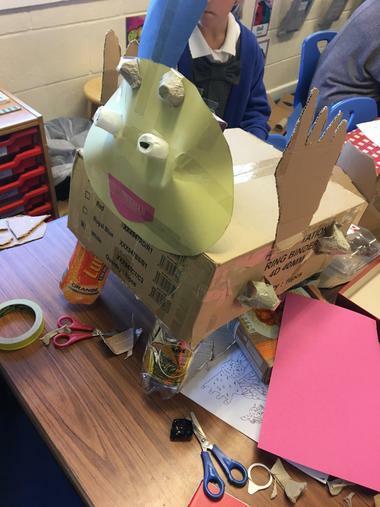 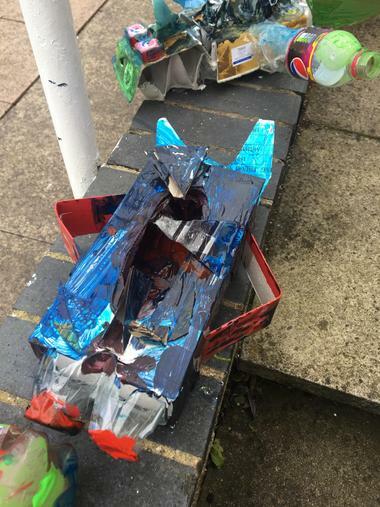 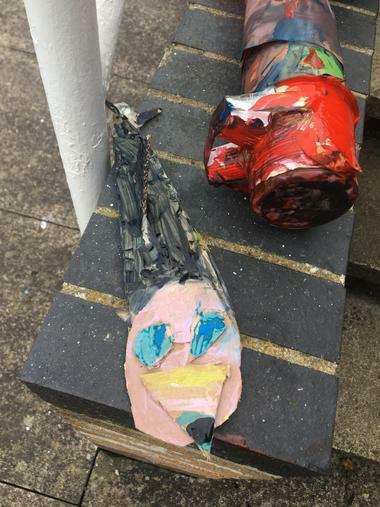 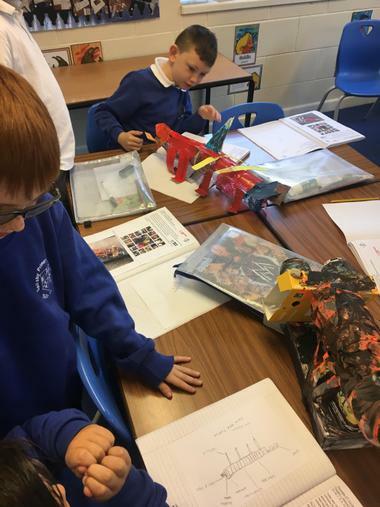 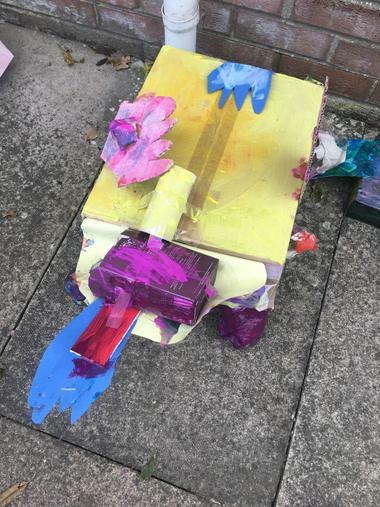 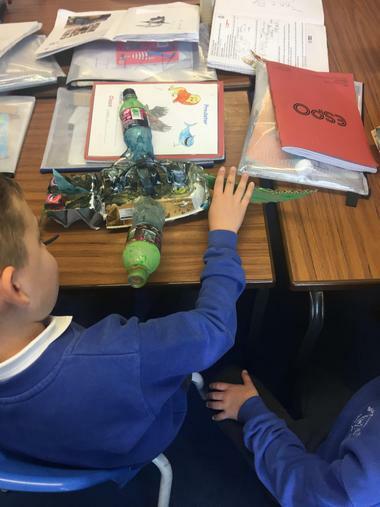 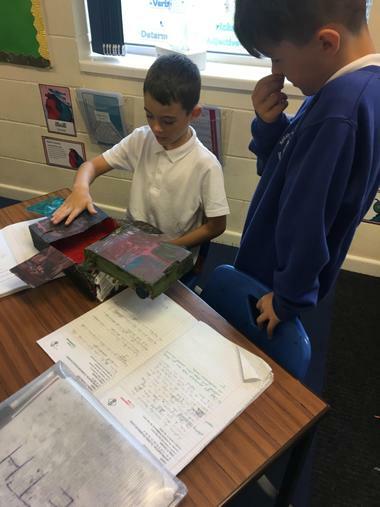 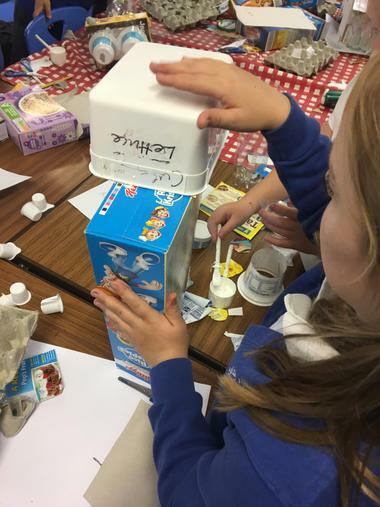 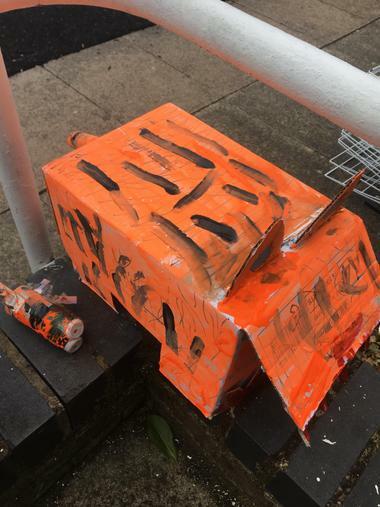 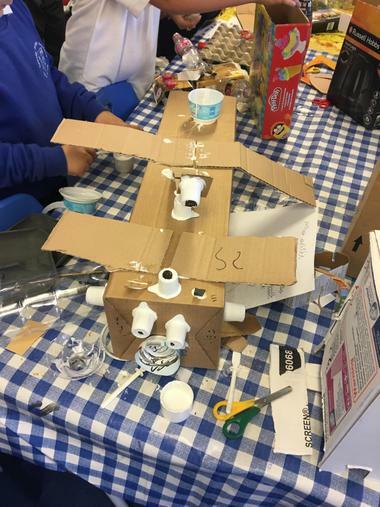 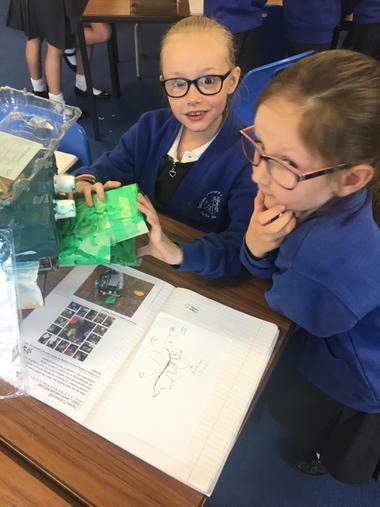 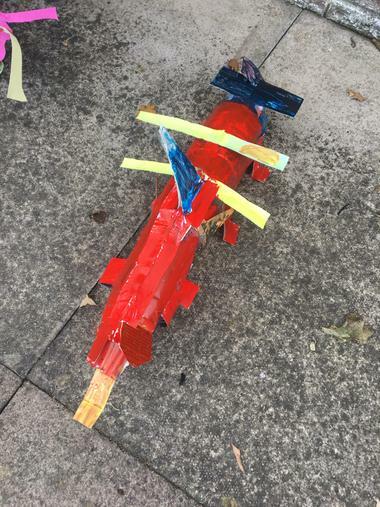 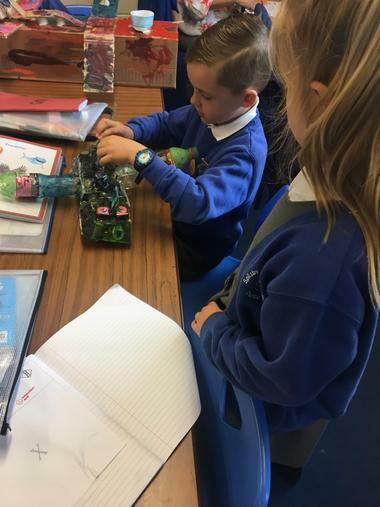 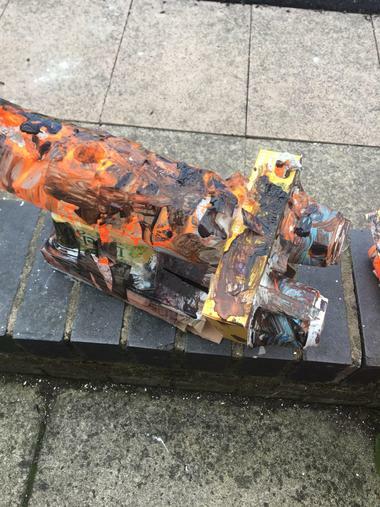 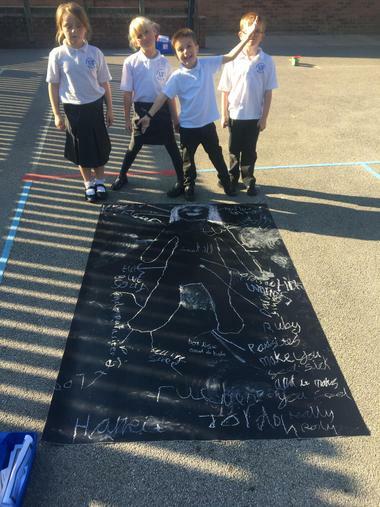 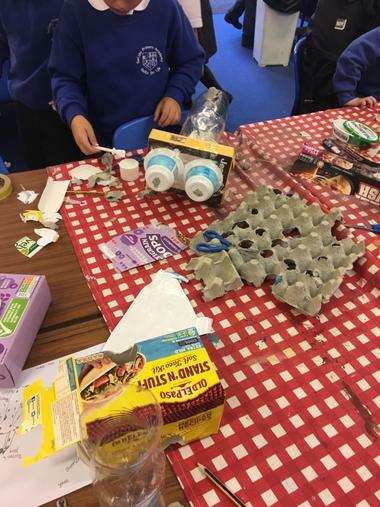 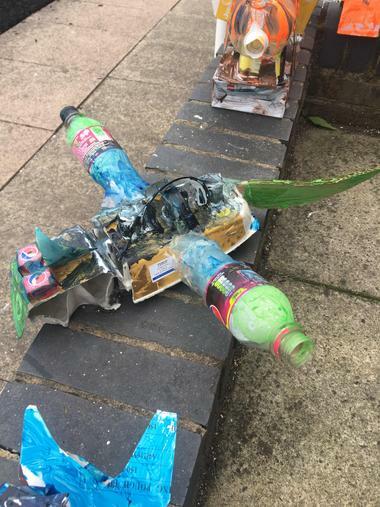 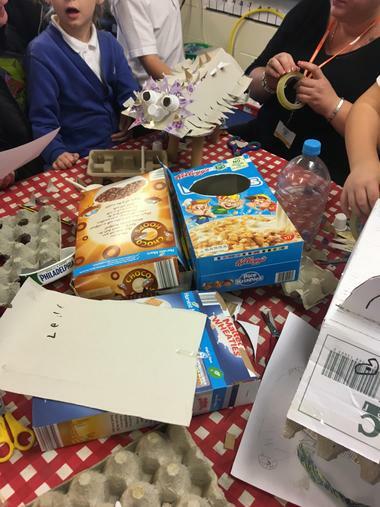 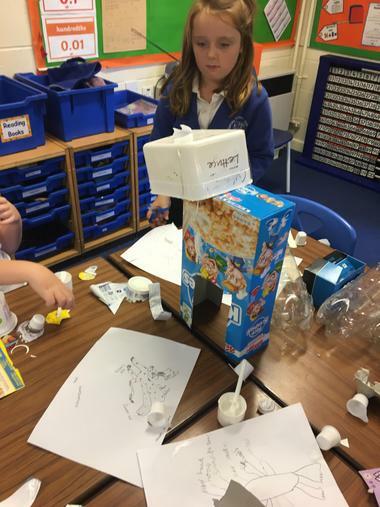 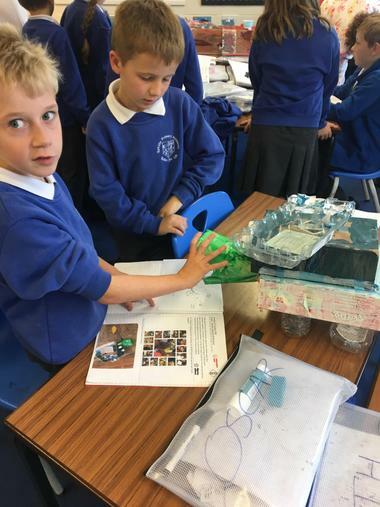 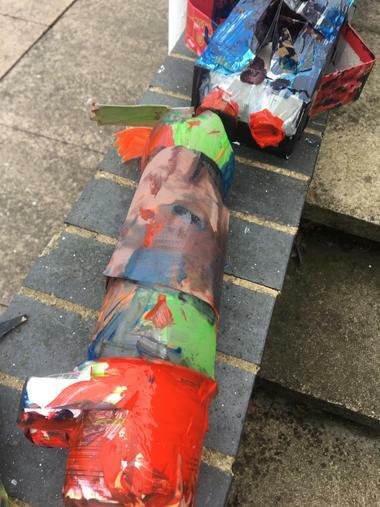 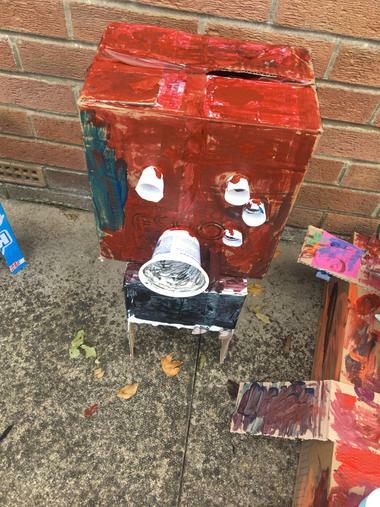 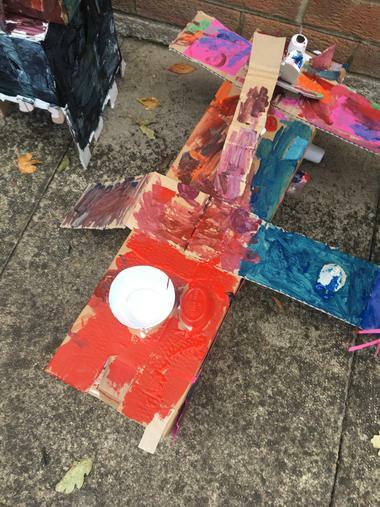 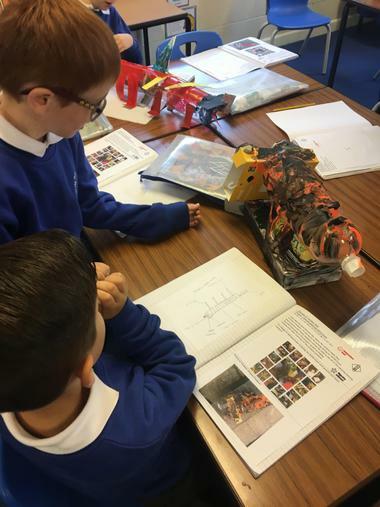 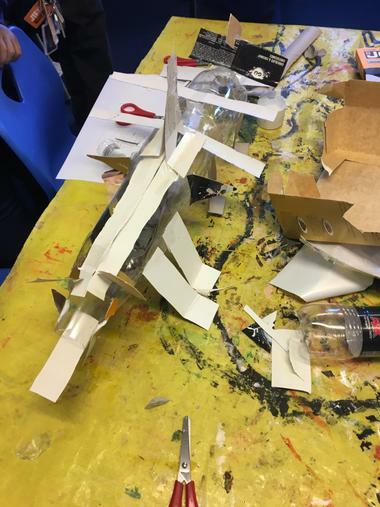 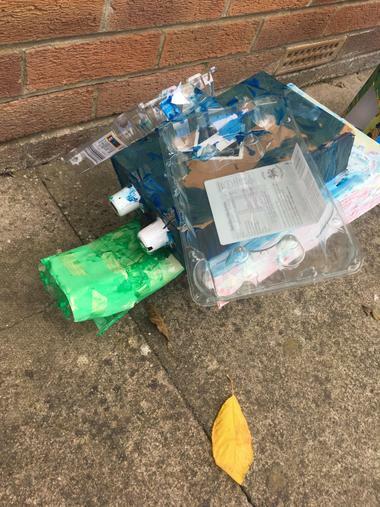 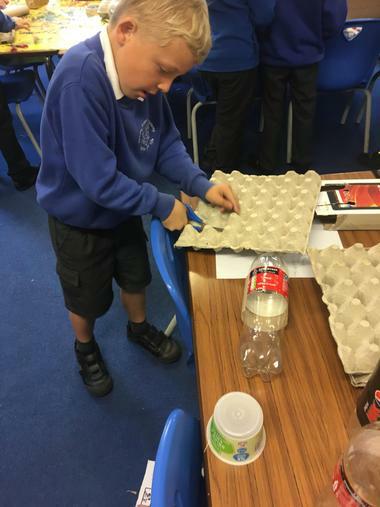 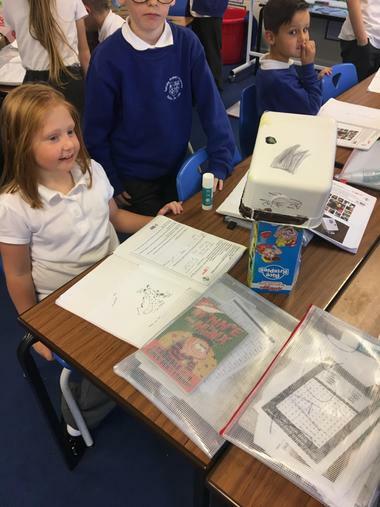 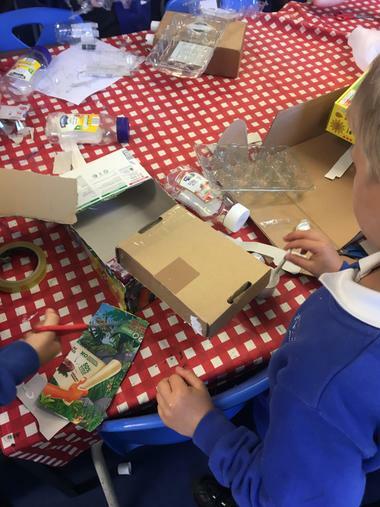 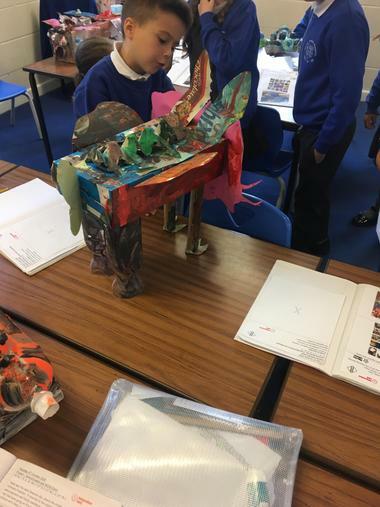 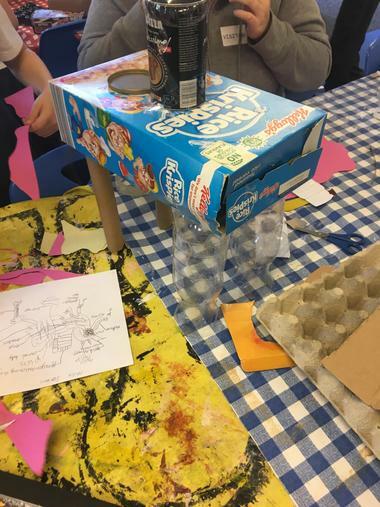 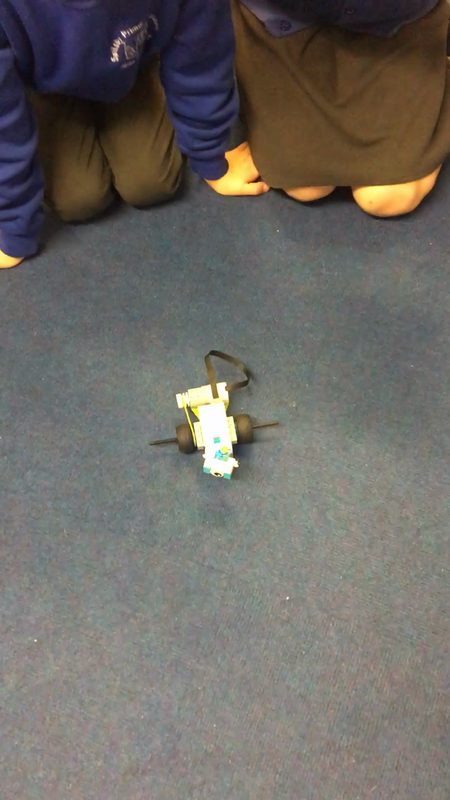 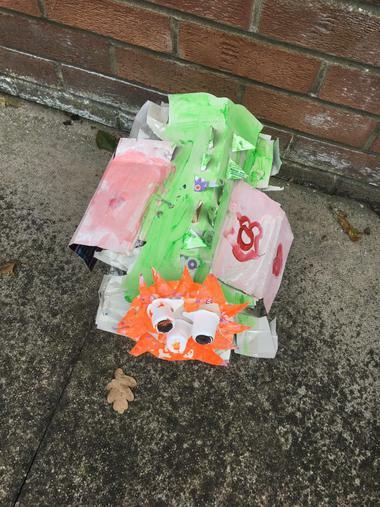 To end the innovate stage of this project, the children in Year 3 and 4 spent some time looking at each other's 'Ultimate Predator' creations. 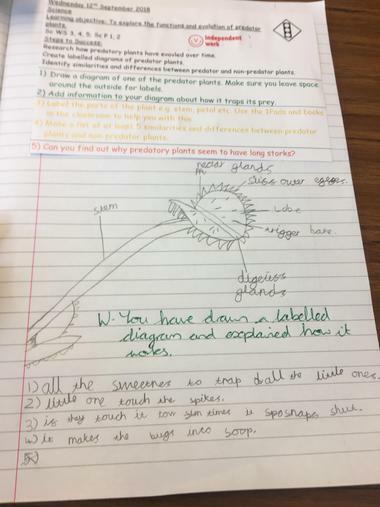 They had to ask questions about how the creation was designed etc. 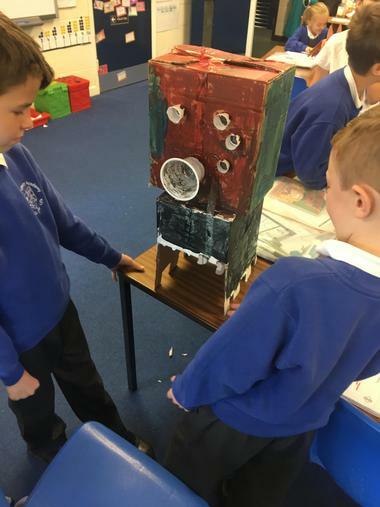 as well as being to explain the process to each other. 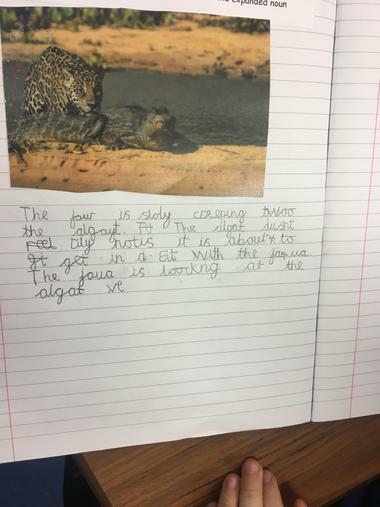 Year 3 have been working really hard on a dilemma story for the last week and a half. 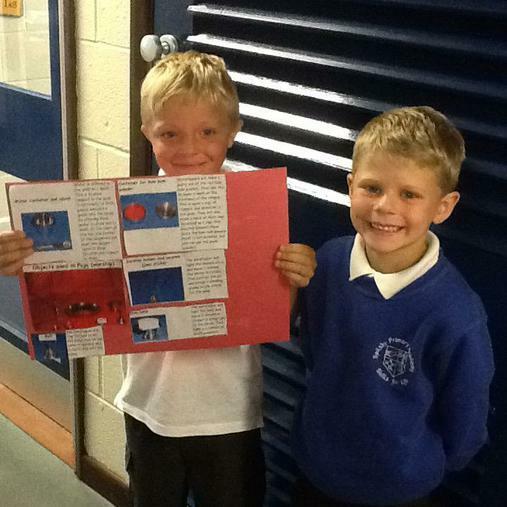 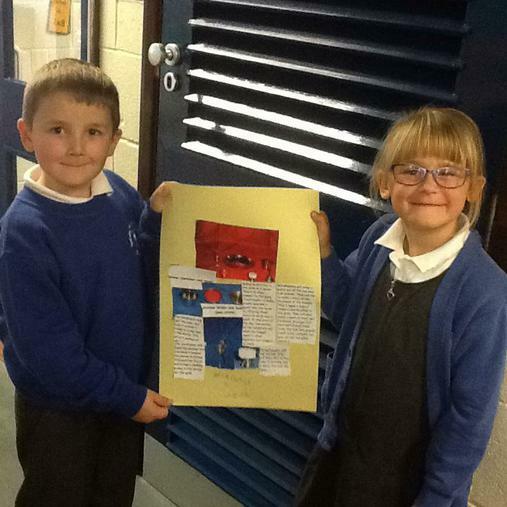 Today marked the end of their writing, when they had to publish all of their work. 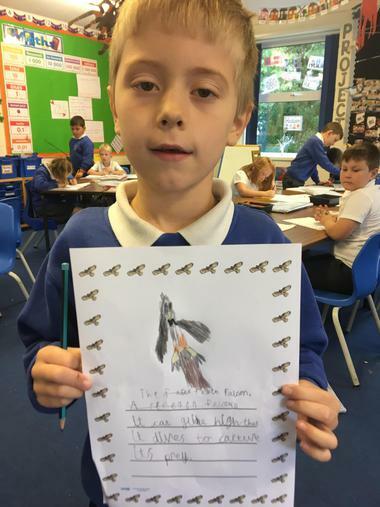 There are some really exciting, as well as quite scary, stories from the class. 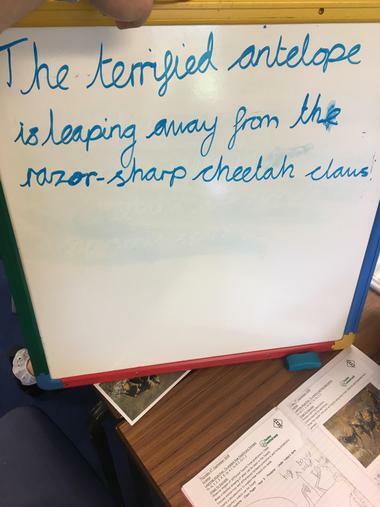 They had to imagine they were a ranger working at the Everglades National Park and think about what potential dilemmas they could face on one of their evening patrols around the park. 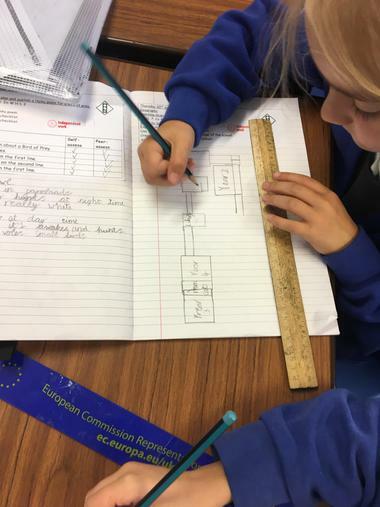 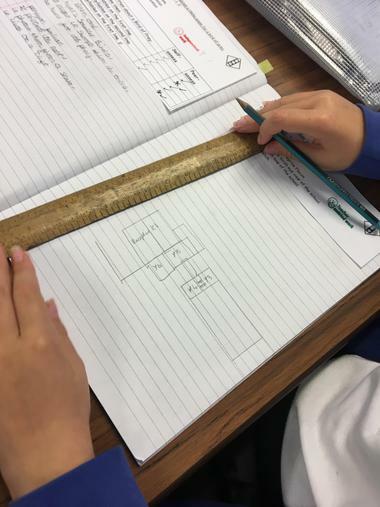 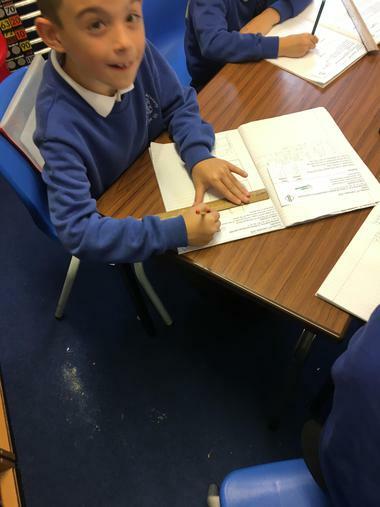 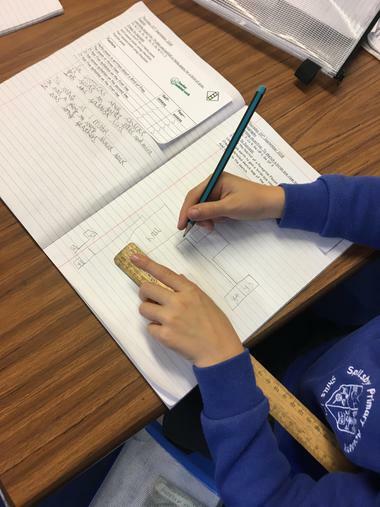 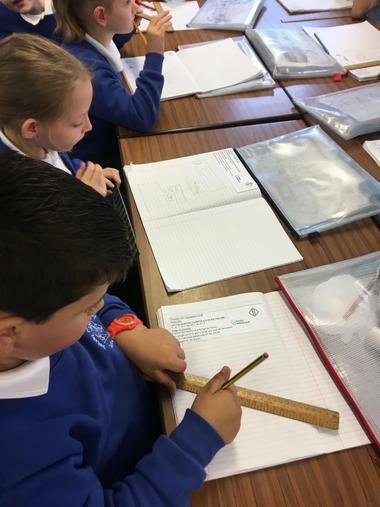 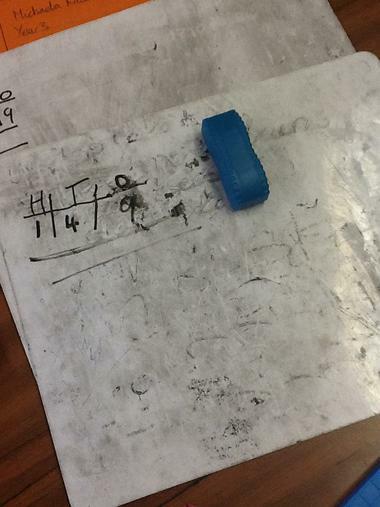 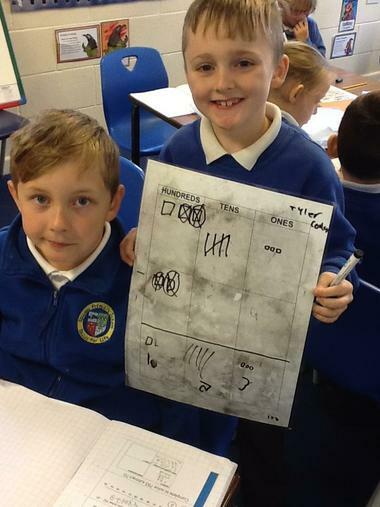 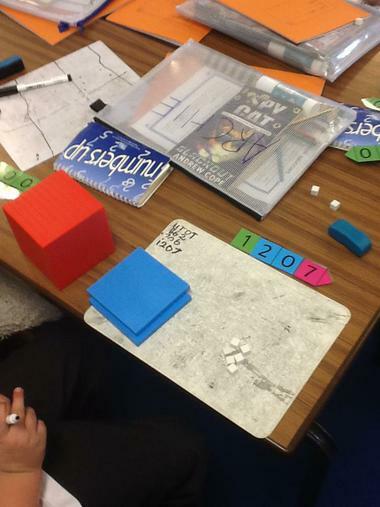 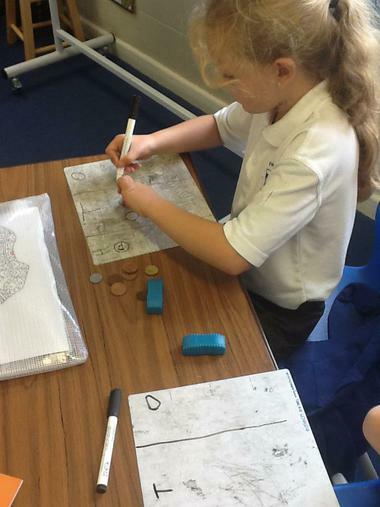 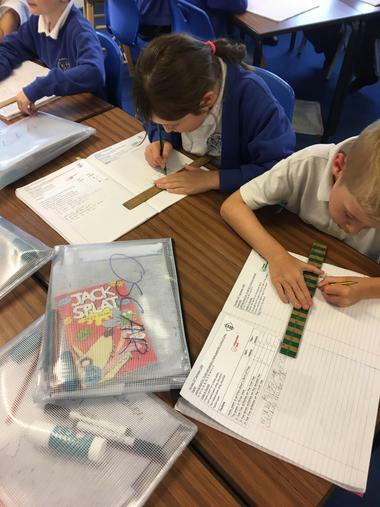 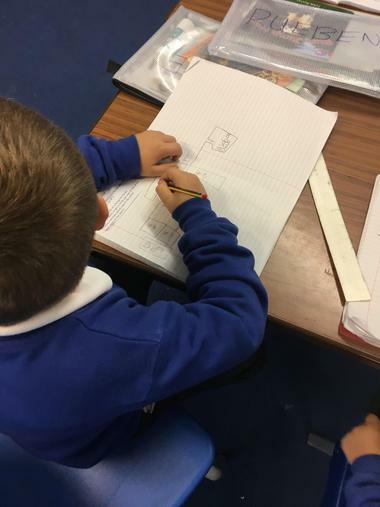 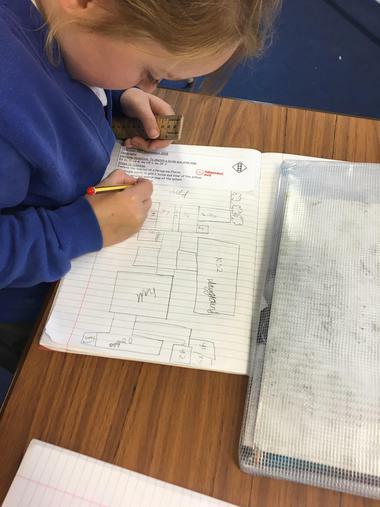 This week, the children in Year 3 have been looking at subtraction and have to carefully think about their place value when using a formal column method. 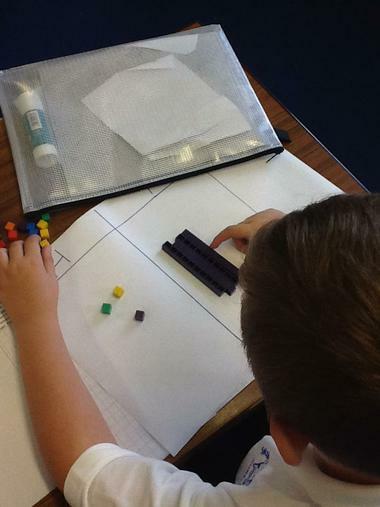 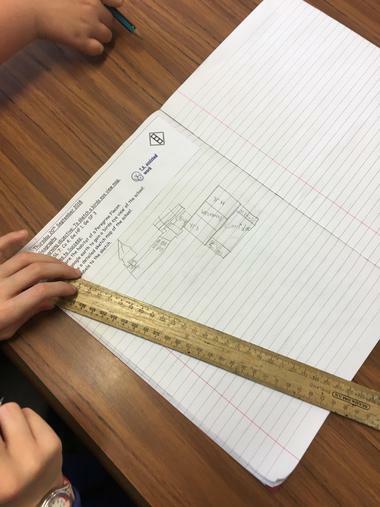 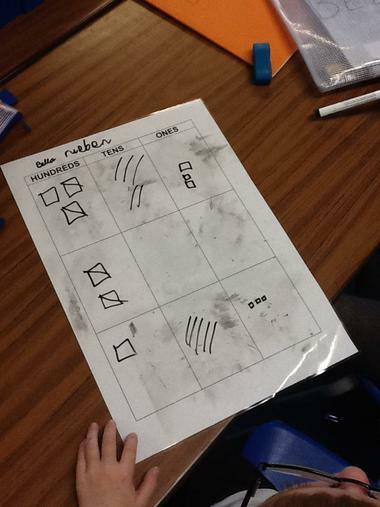 Here they are using help sheets and drawing objects to help them find solutions to questions. 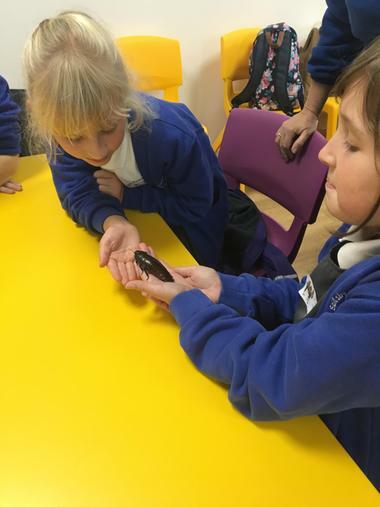 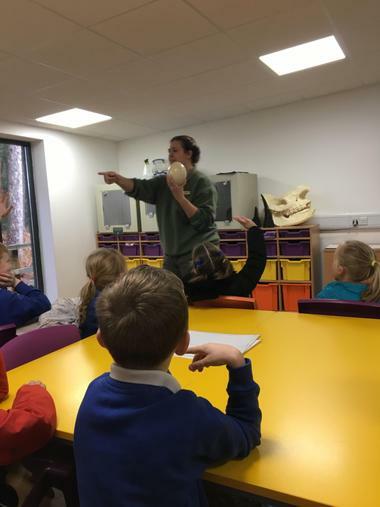 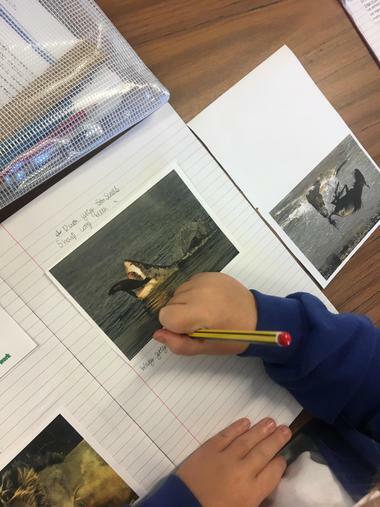 This afternoon, Year 3 explored the world of Aquatic Predators. 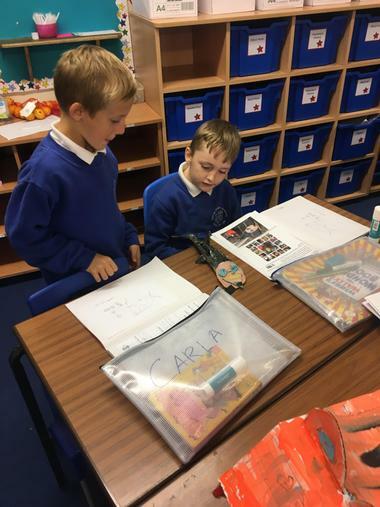 They watched some documentary clips to inspire their very own short Deadly 60 style report! 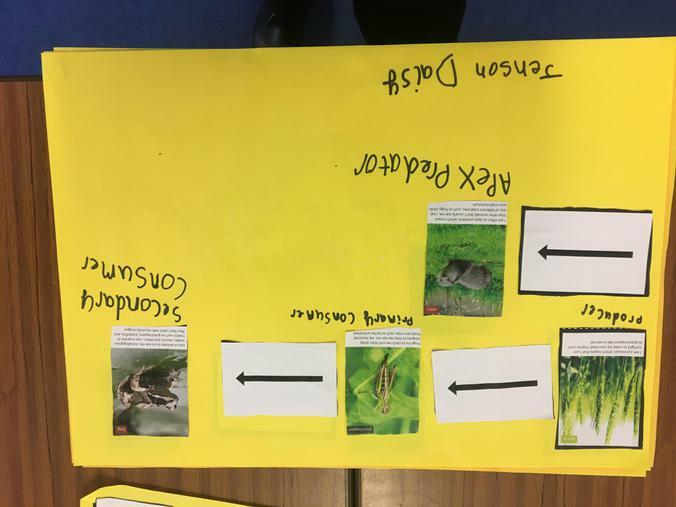 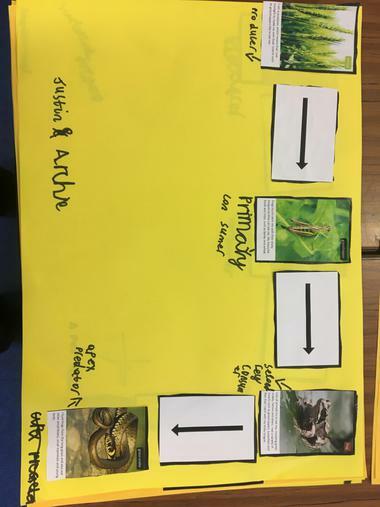 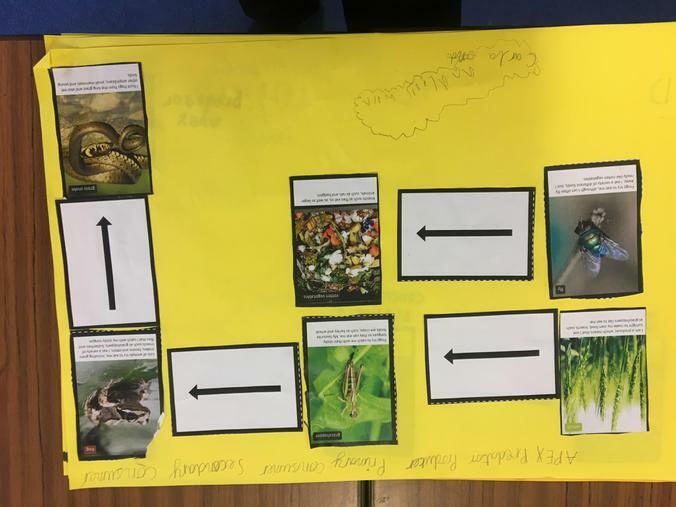 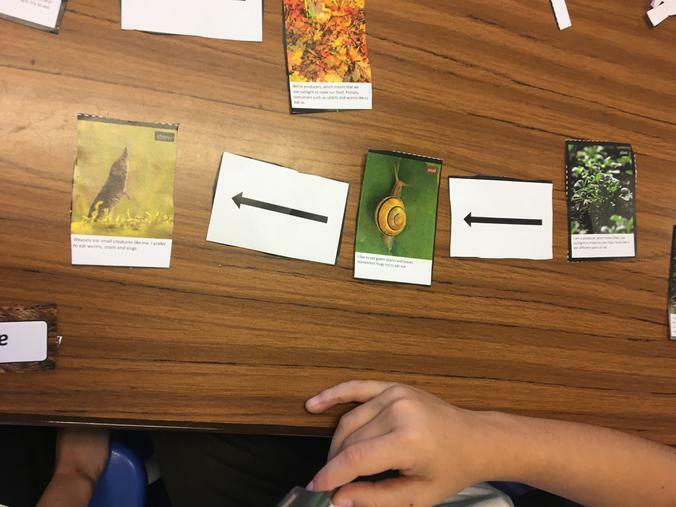 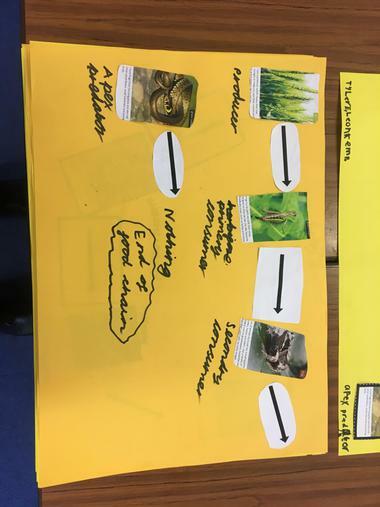 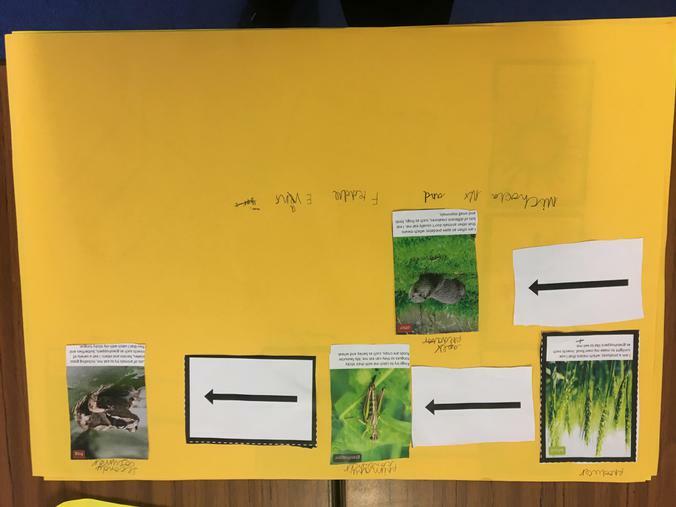 Year 3 revisited food chains this afternoon but this time looked at where local frogs fitted into the food chains. 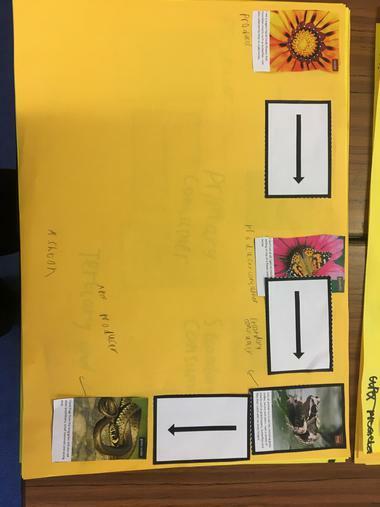 They also needed to include important technical language on their food chains to explain the different parts. 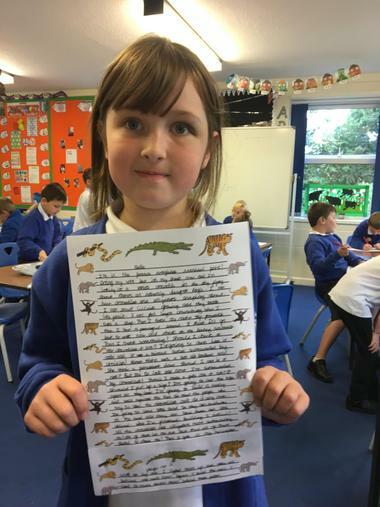 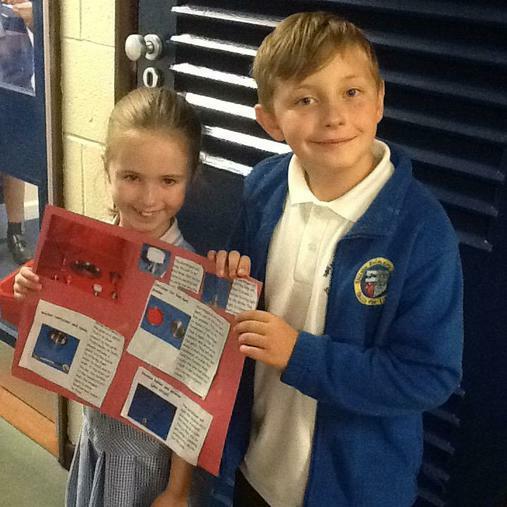 This term, Year 3 have been looking at Hinduism during RE lessons. 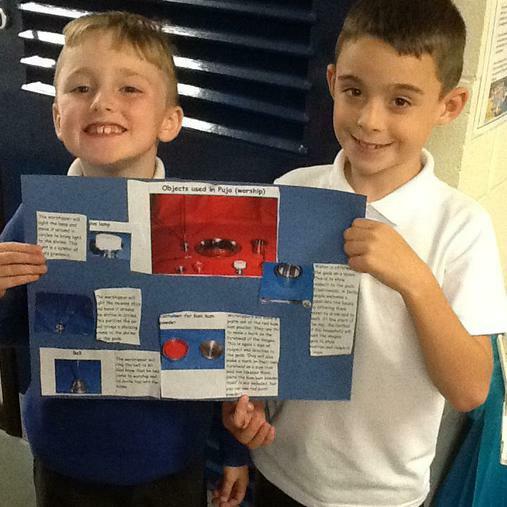 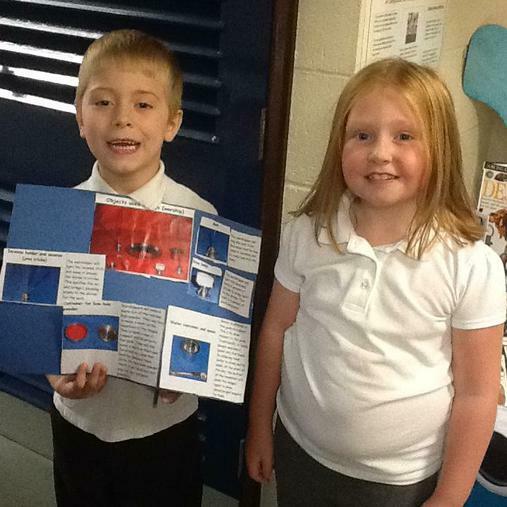 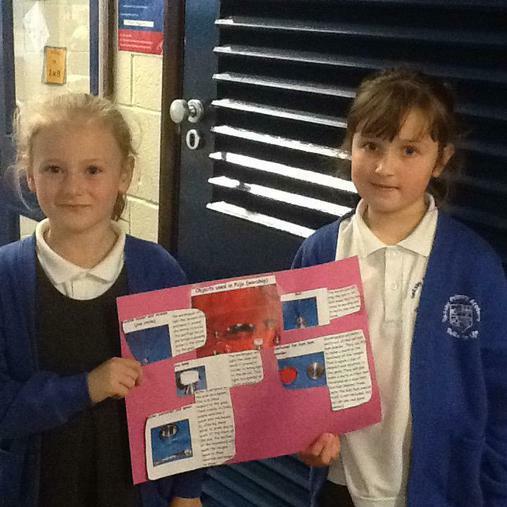 They have been looking at the creation of Ganesh and looking at how the religion was founded. 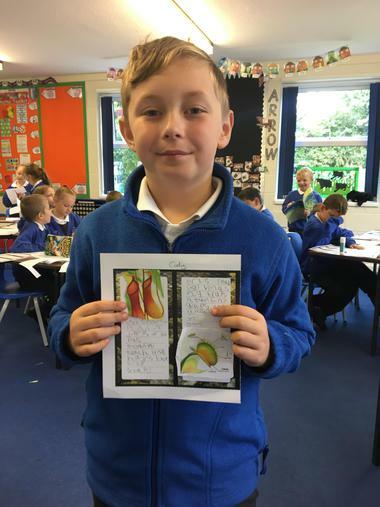 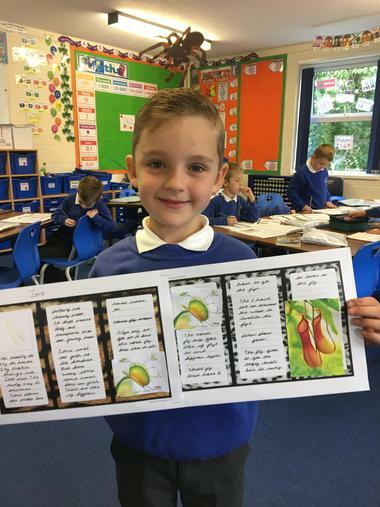 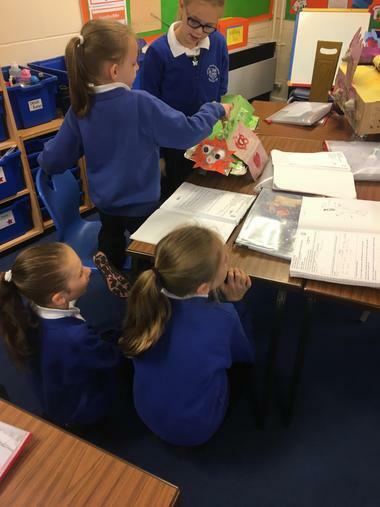 This week they had to look at the different Puja items and their importance to the Hindu religion. 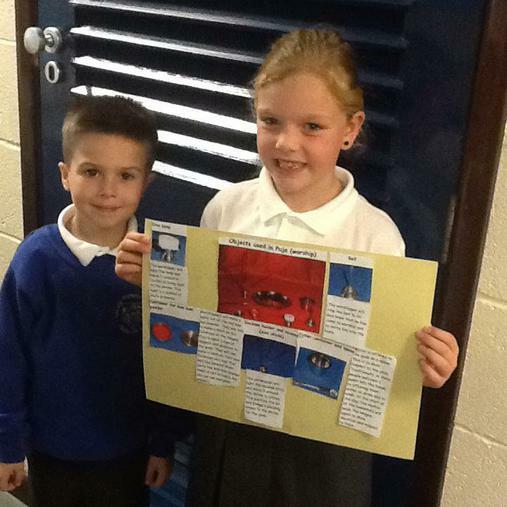 They had to match up the pictures with their captions and present it in a poster format. 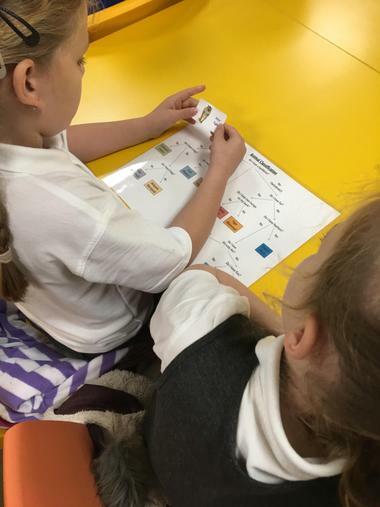 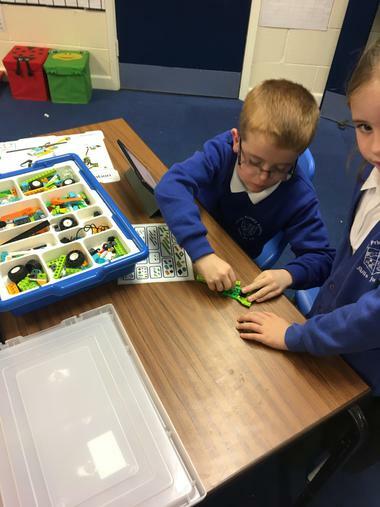 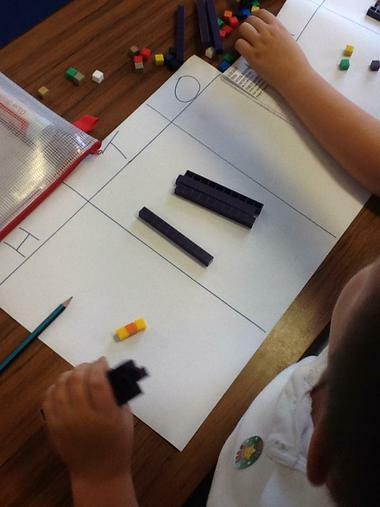 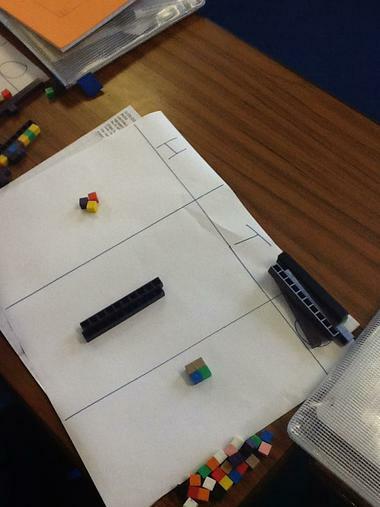 This afternoon, Year 3 were very lucky to have Mr Carlton in the classroom to work with them on Lego We Do. 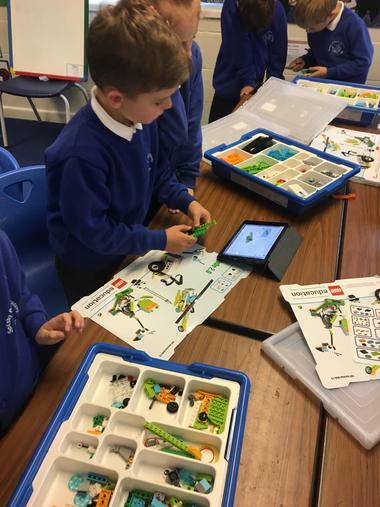 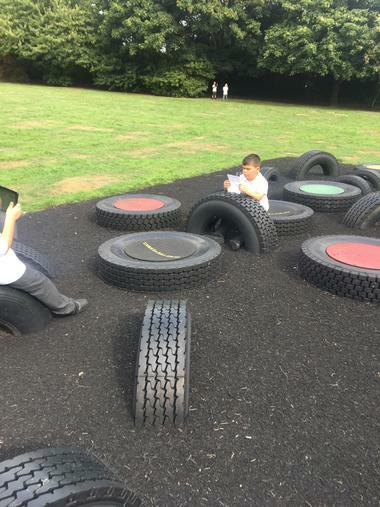 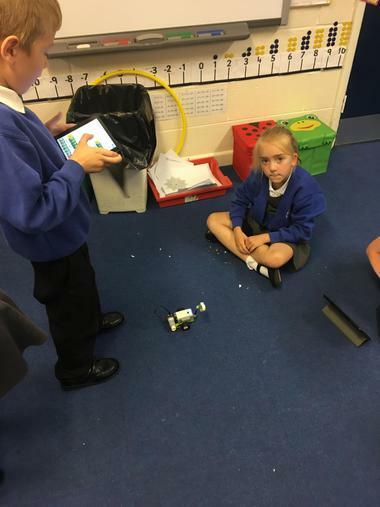 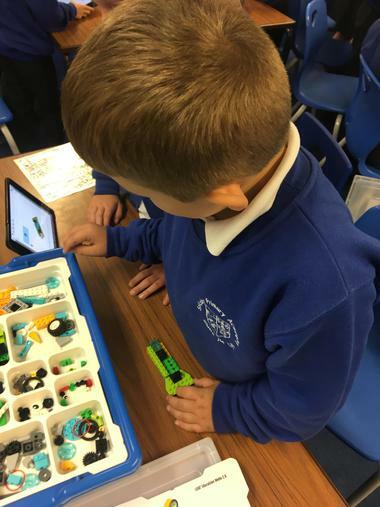 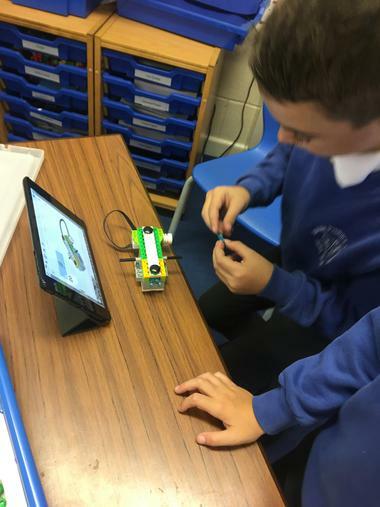 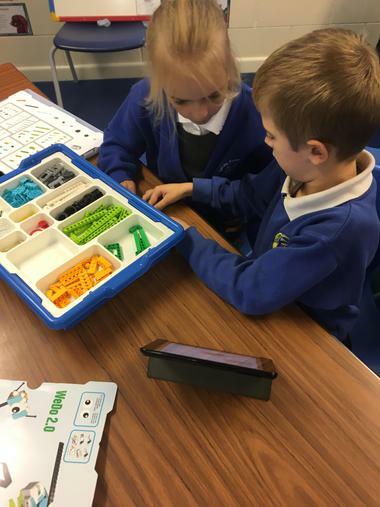 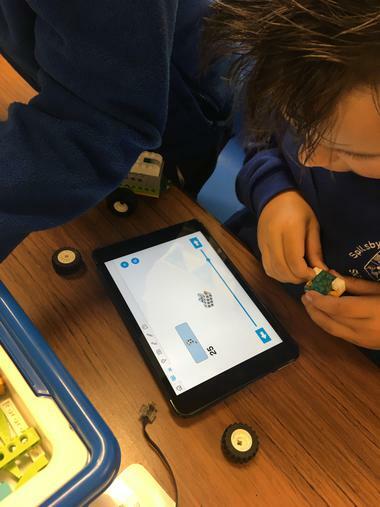 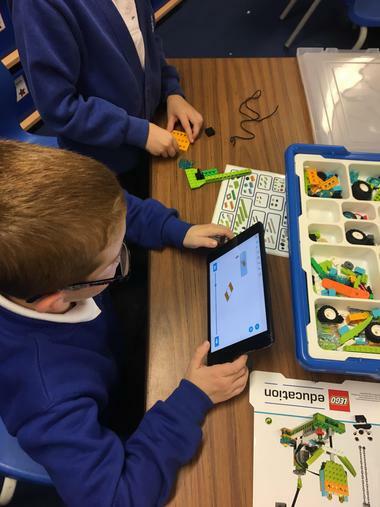 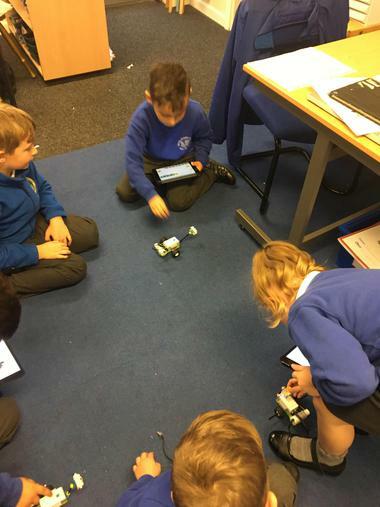 This is a Lego building software on the Ipads, which instructs the children how to make models and then program them on to move in different directions and under different variables. 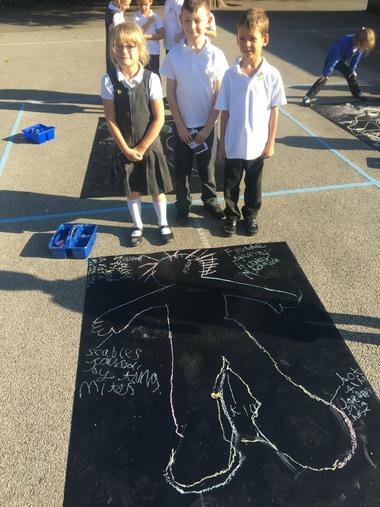 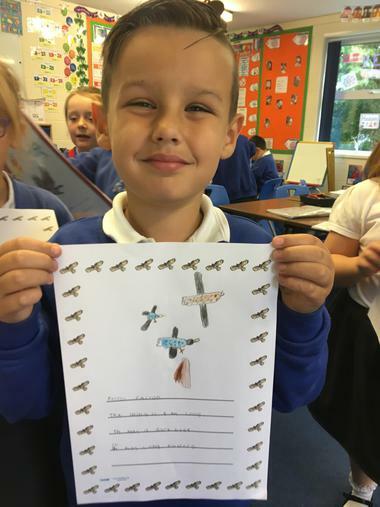 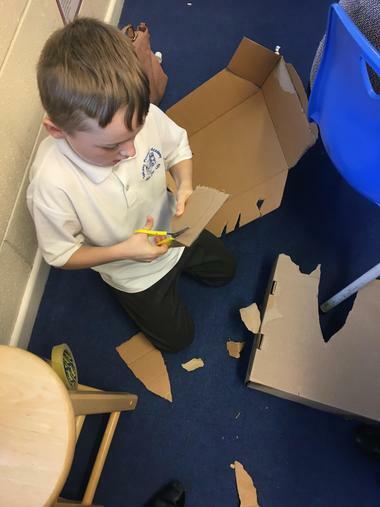 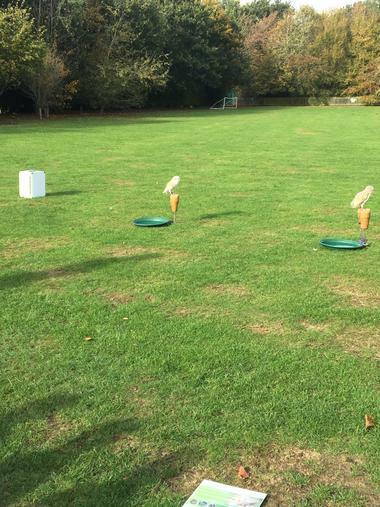 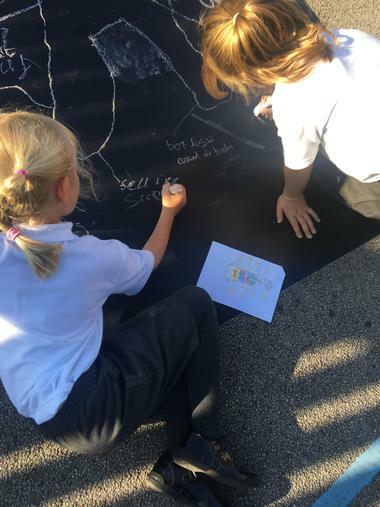 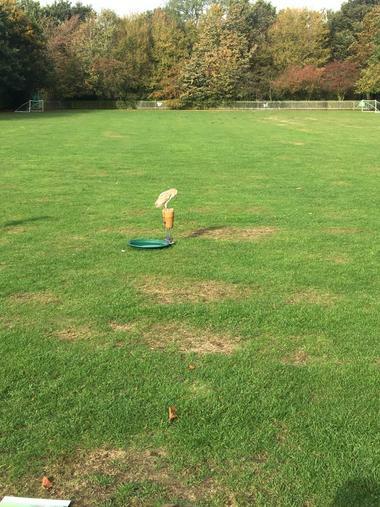 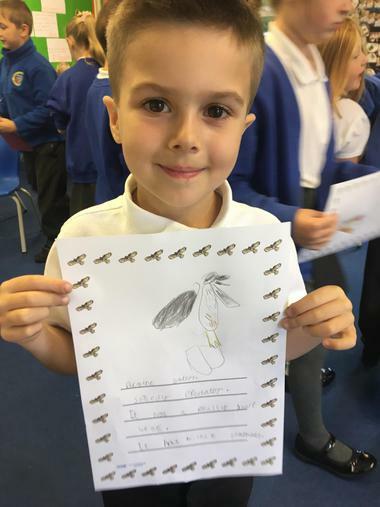 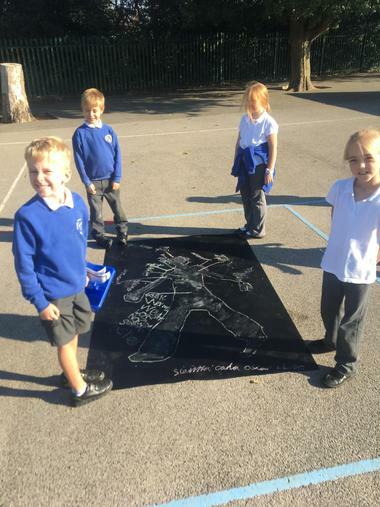 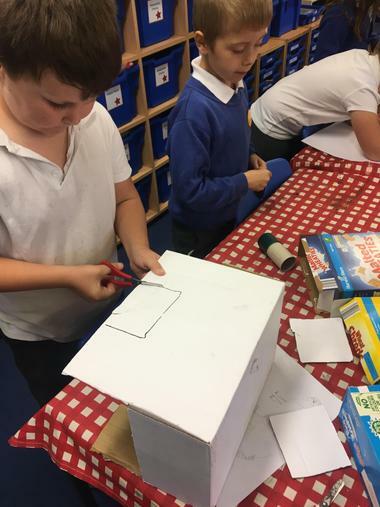 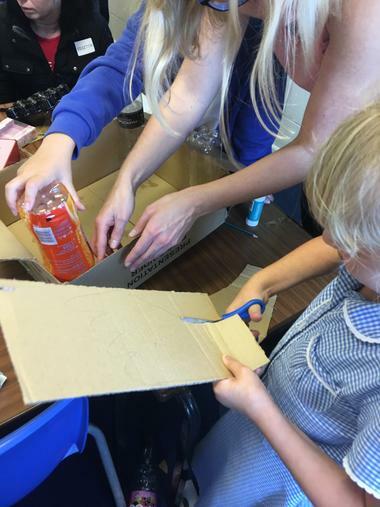 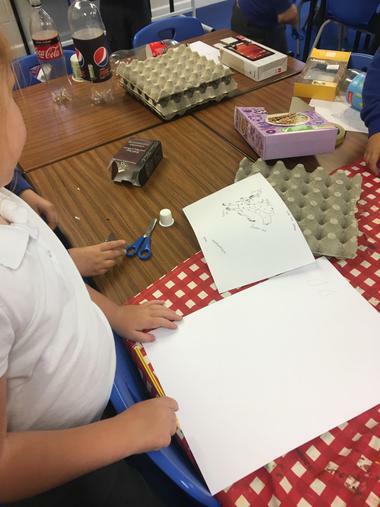 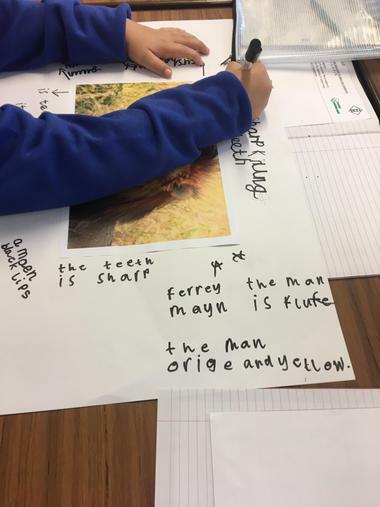 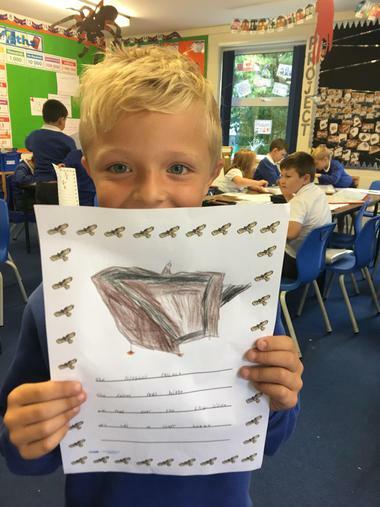 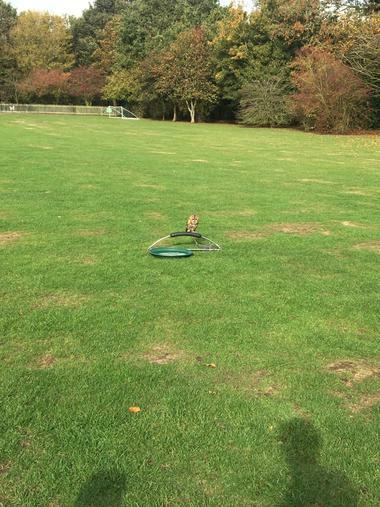 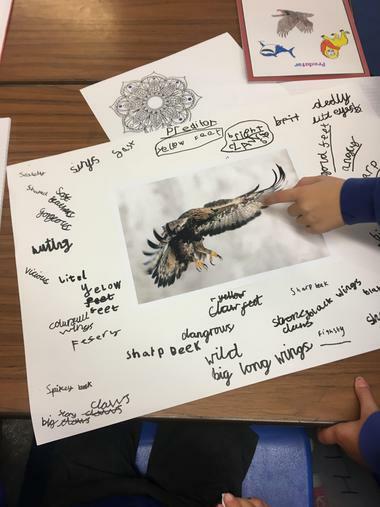 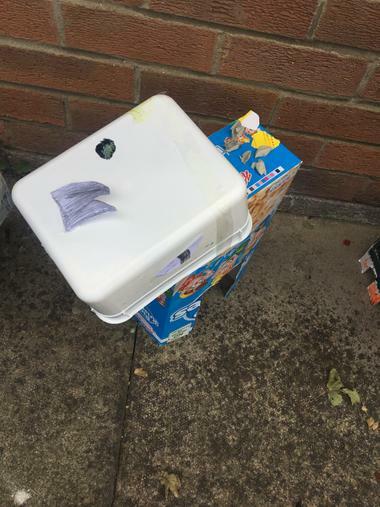 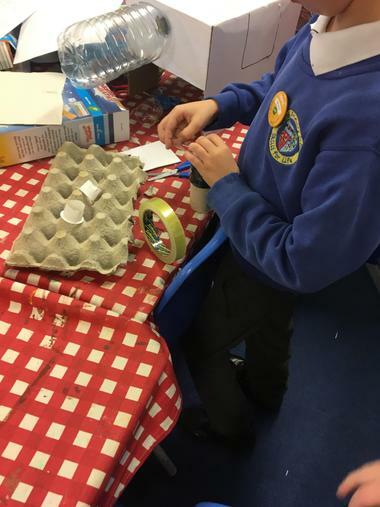 Continuing with their work on Birds of Prey, the children had to imagine that they were a peregrine falcon and think about what they could see if they were soaring high in the sky. 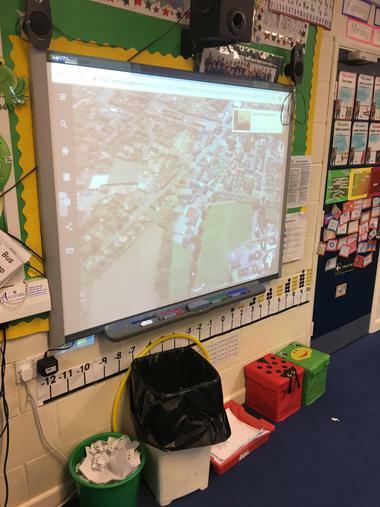 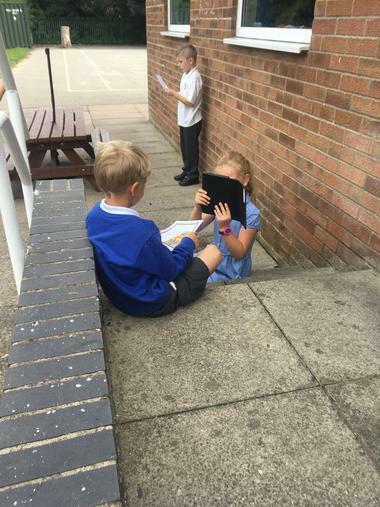 They used Google earth to find out where our school was in the world and then drew a picture of it into their books from a birds eye view. 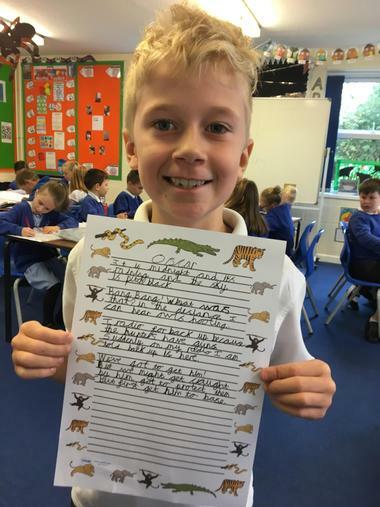 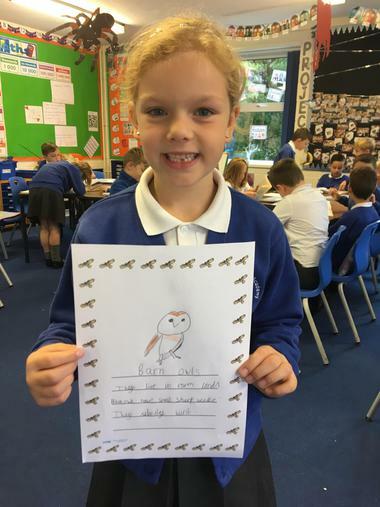 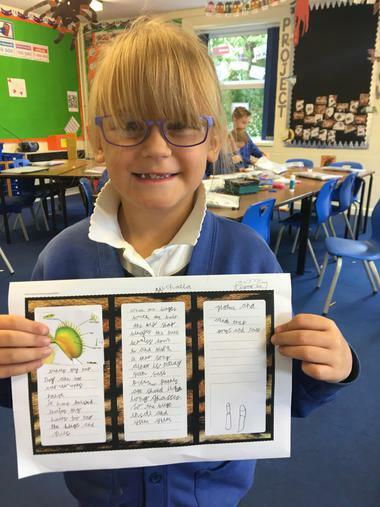 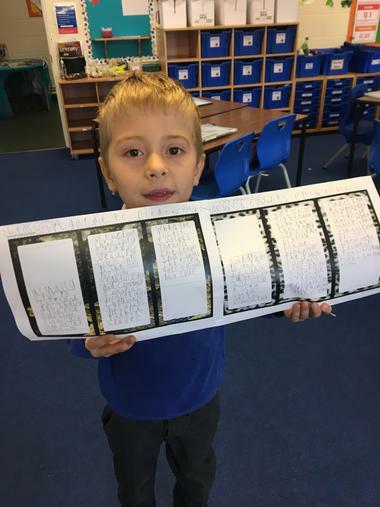 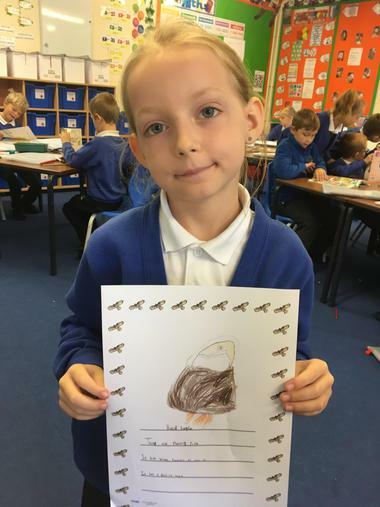 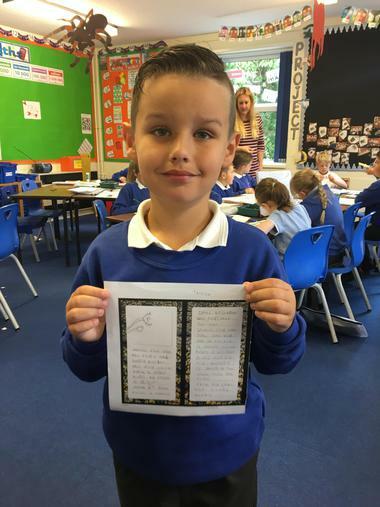 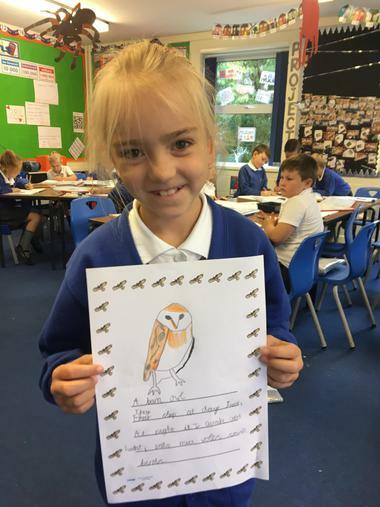 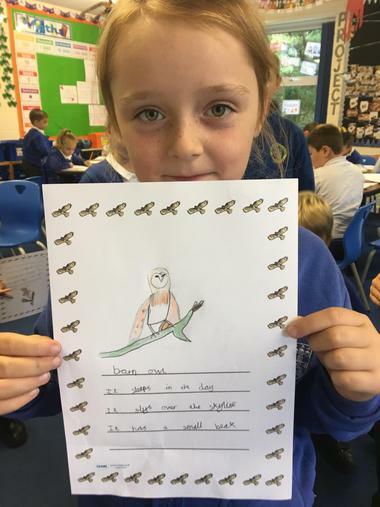 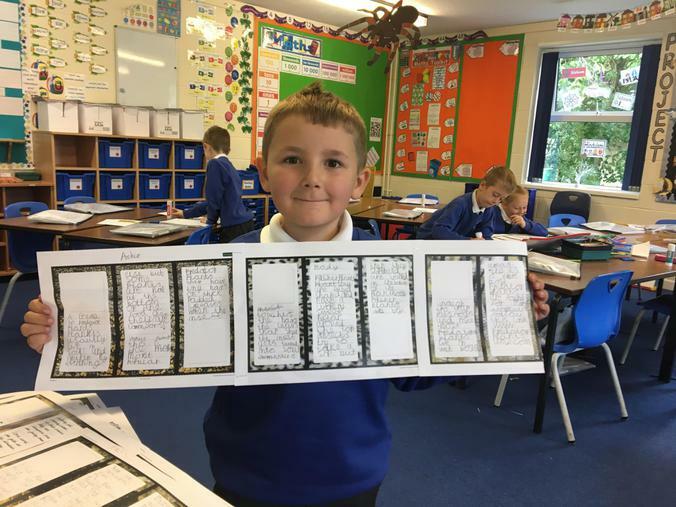 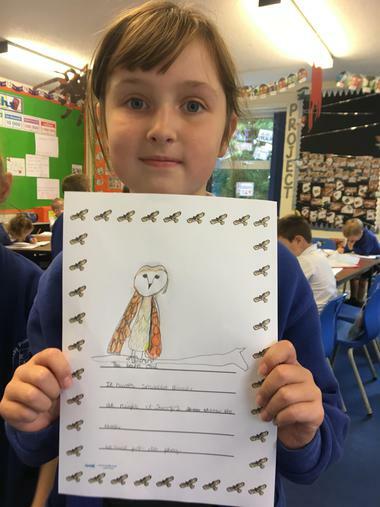 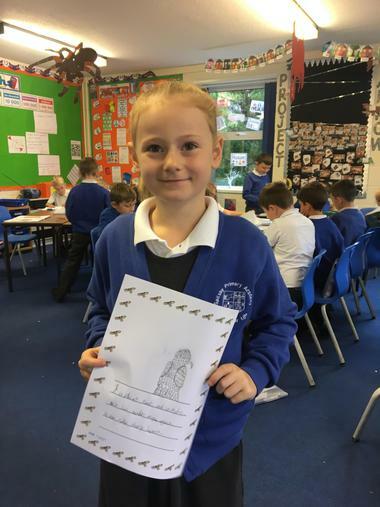 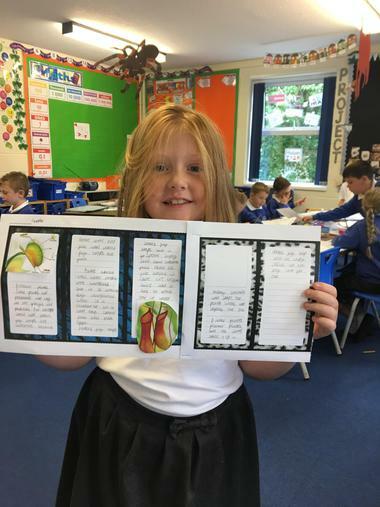 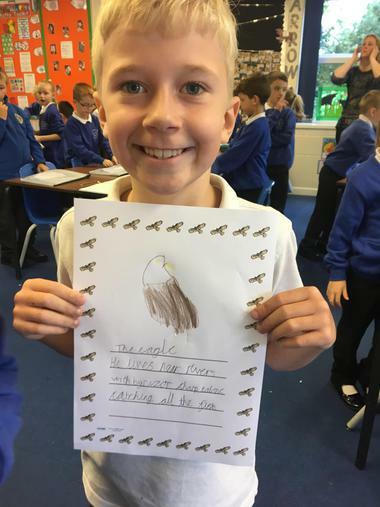 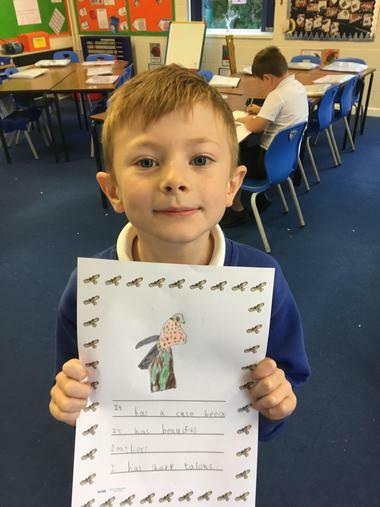 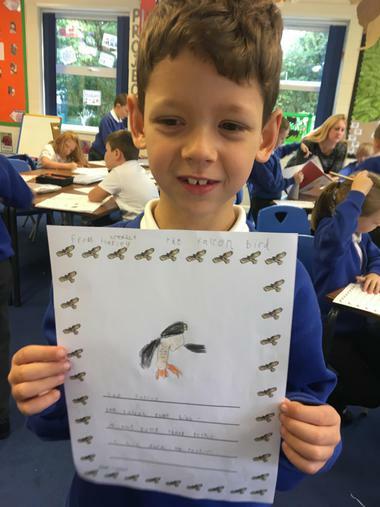 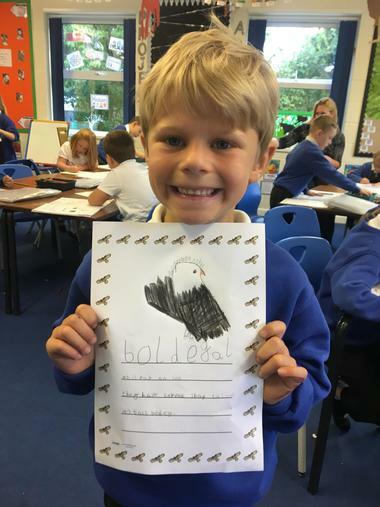 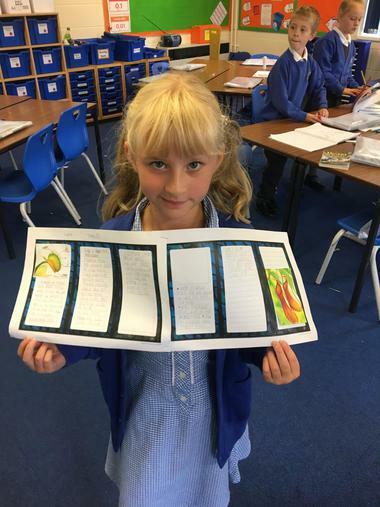 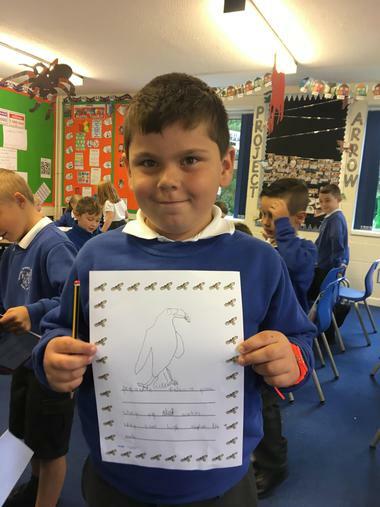 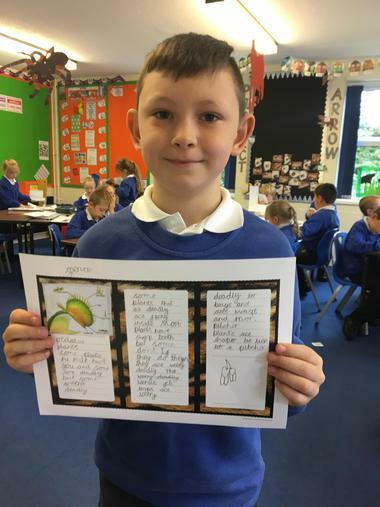 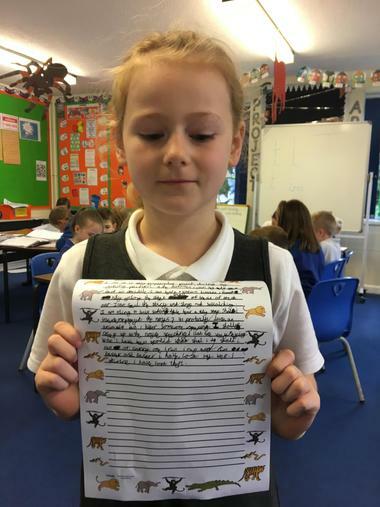 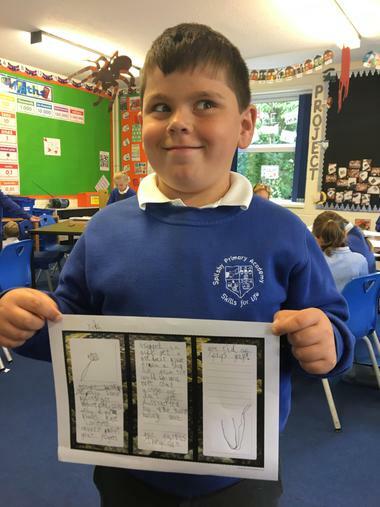 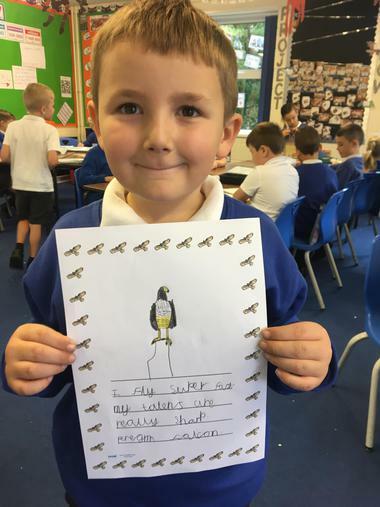 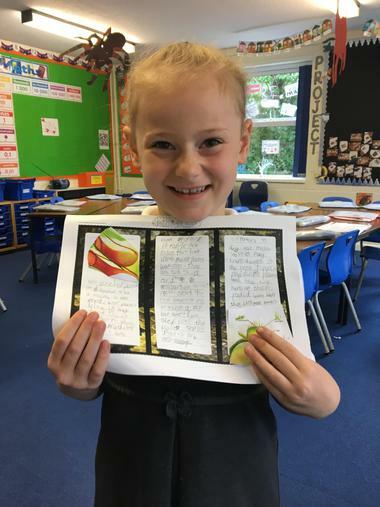 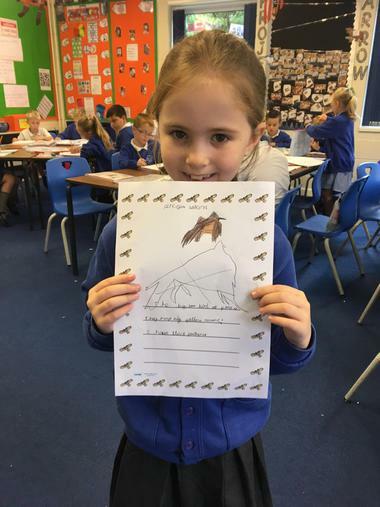 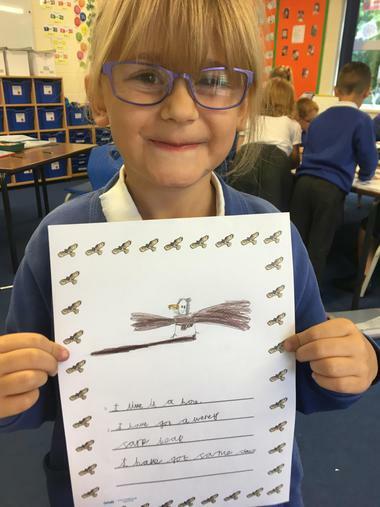 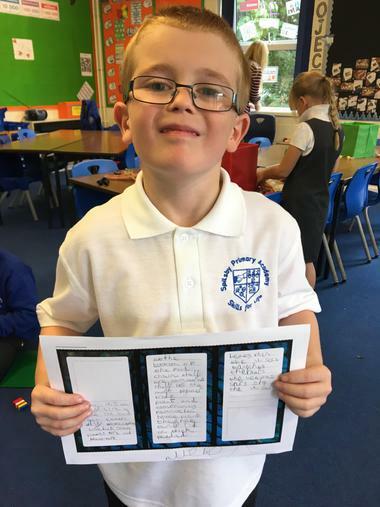 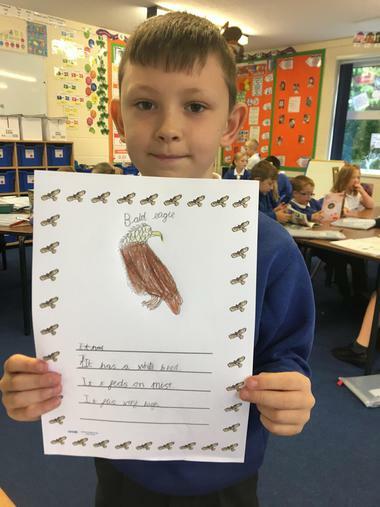 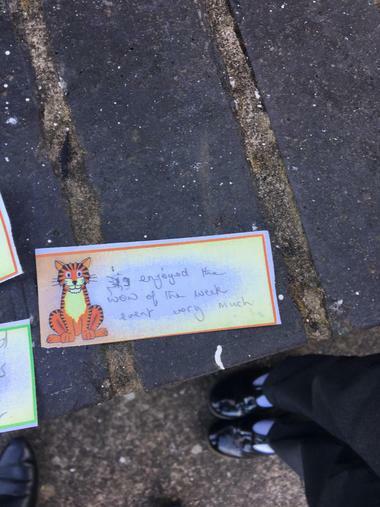 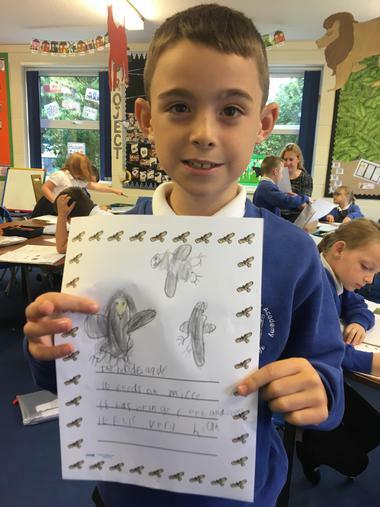 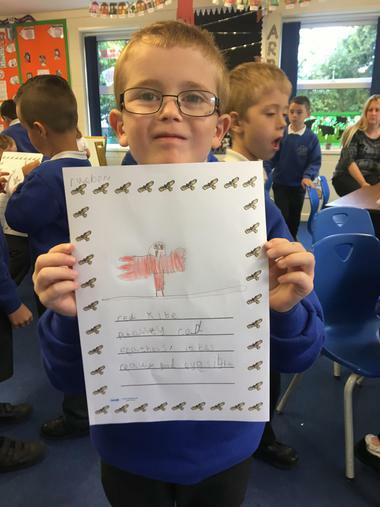 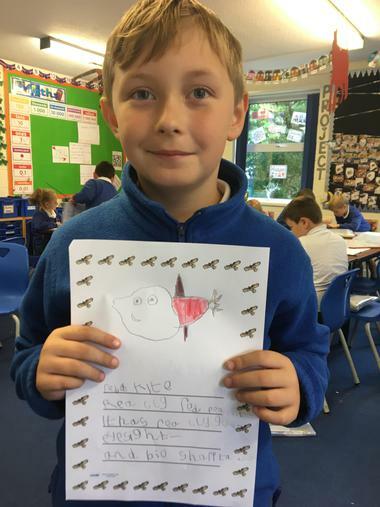 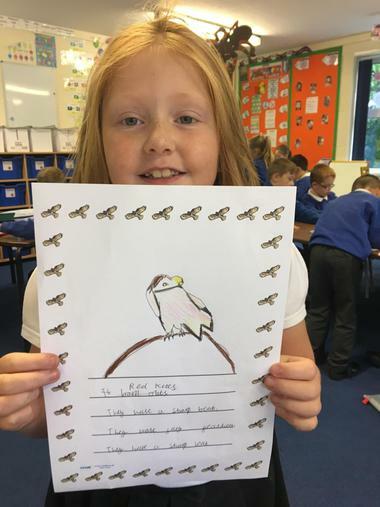 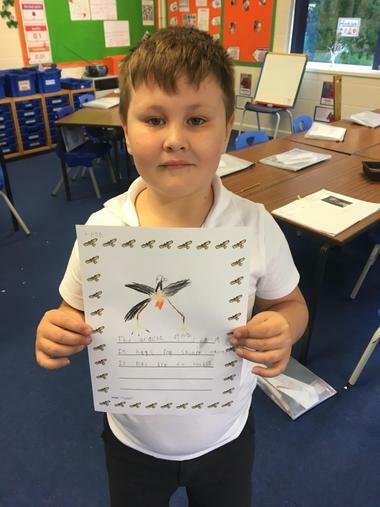 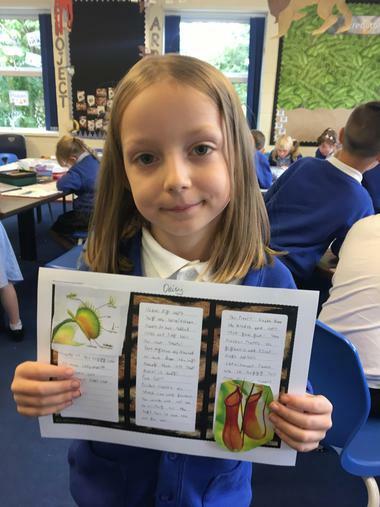 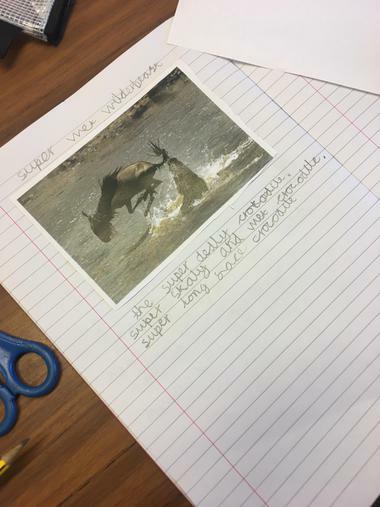 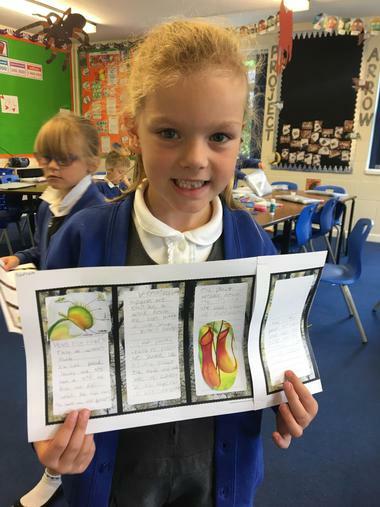 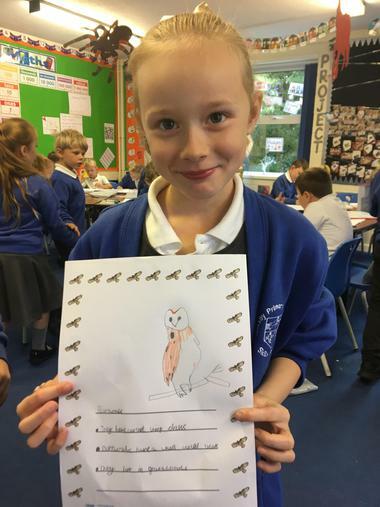 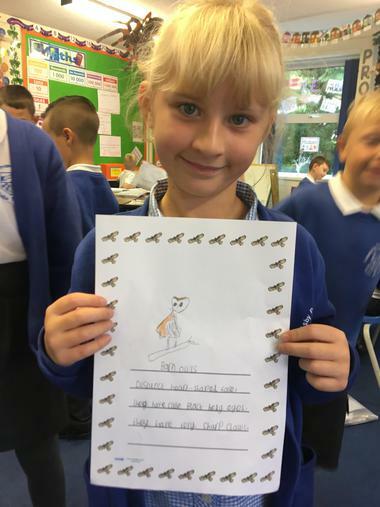 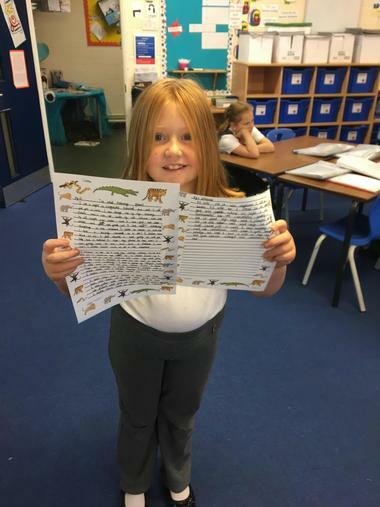 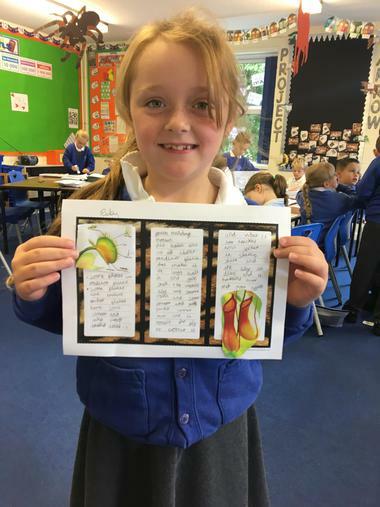 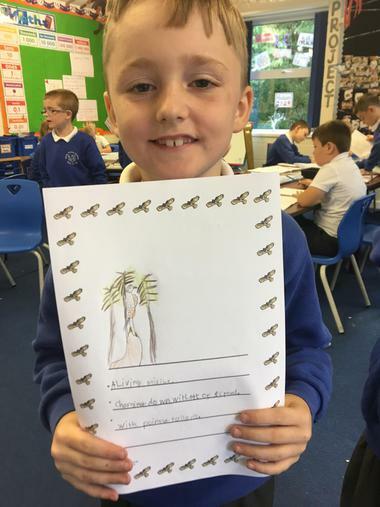 This week, Year 3 have been looking at Birds of Prey and today they created their very own Haiku poems all about one of them! 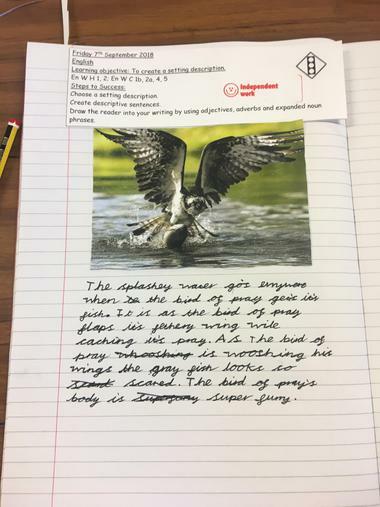 They had to make sure to follow the rules for a Haiku poem as well as describe the predator! 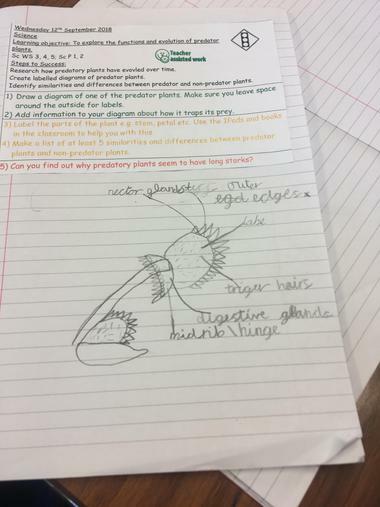 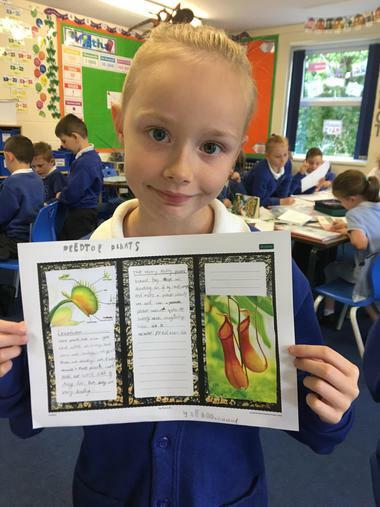 This afternoon, Year 3 looked at predator plants! 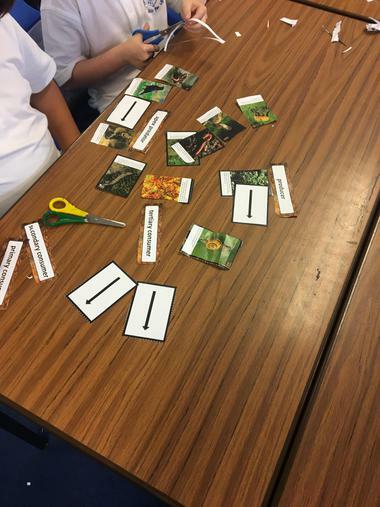 They watched videos looking at the different carnivorous plants that are found around the world. 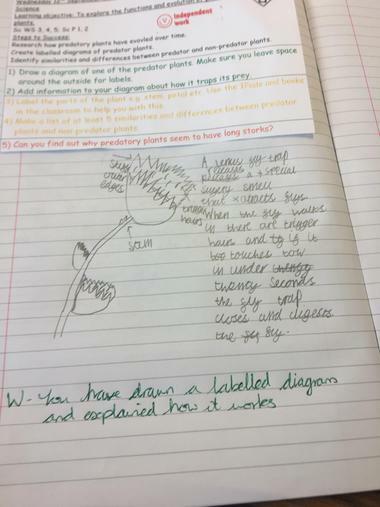 They then had to draw labelled diagrams of a Venus fly trap as well as explaining how it traps its prey! 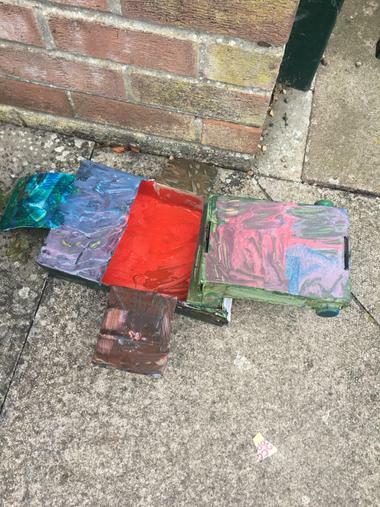 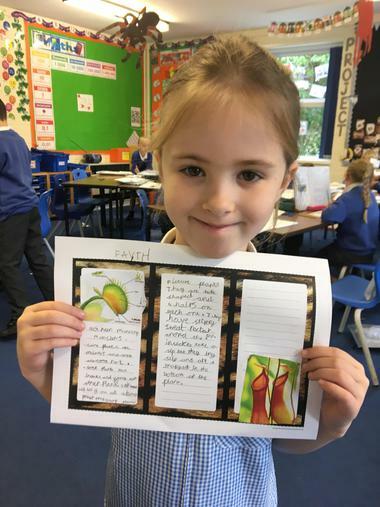 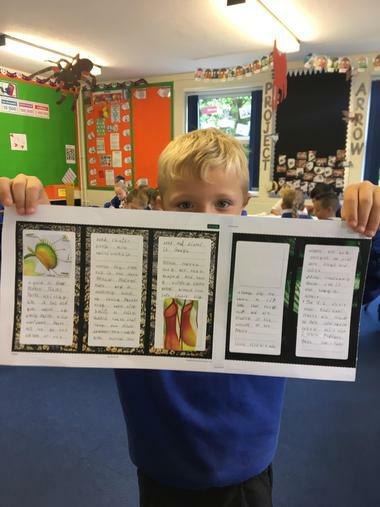 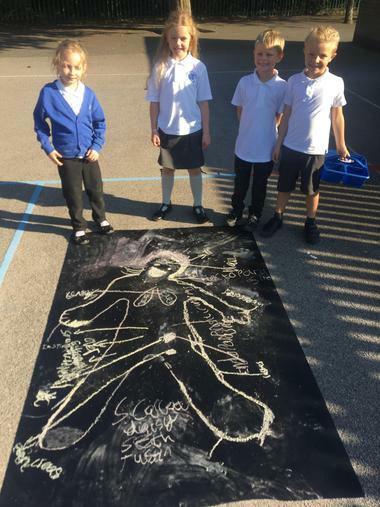 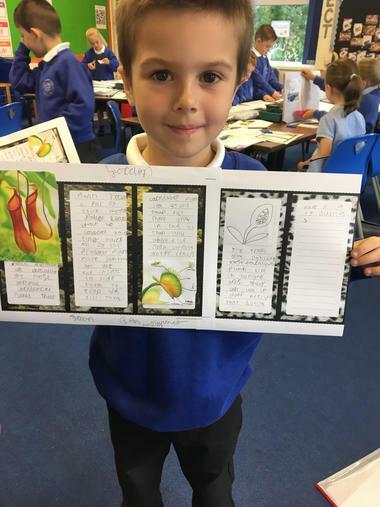 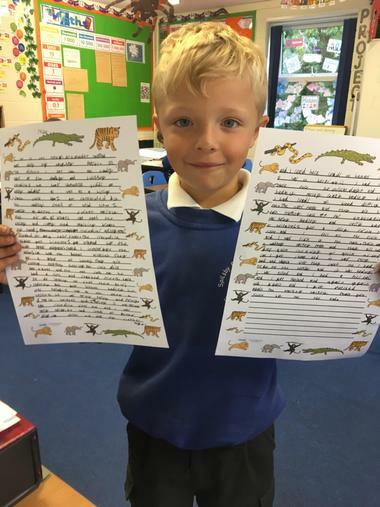 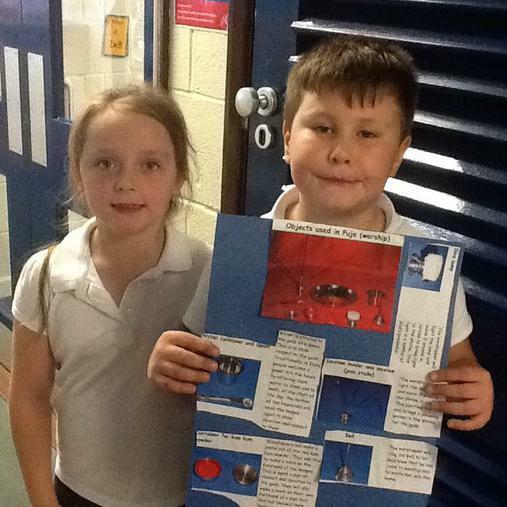 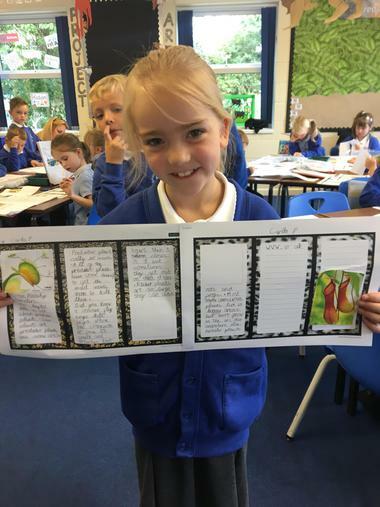 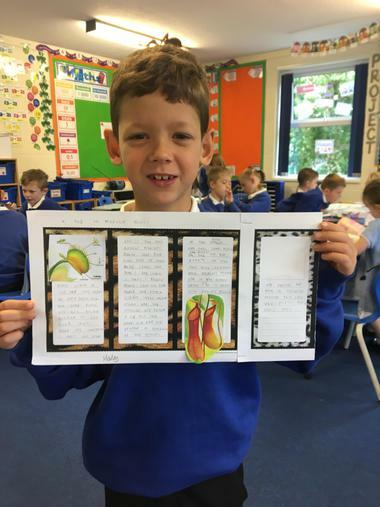 Some super work today from the children in Year 3. 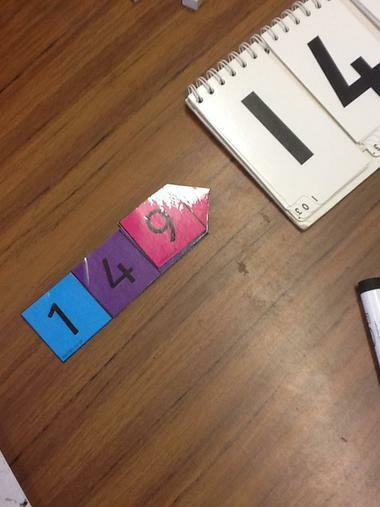 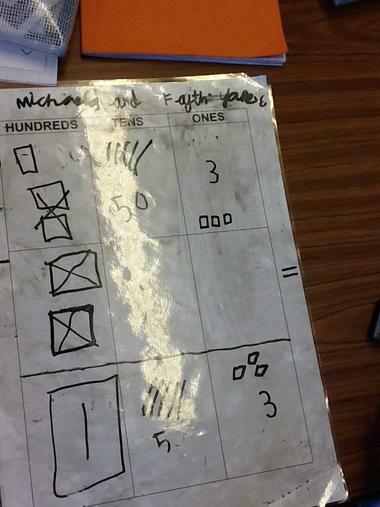 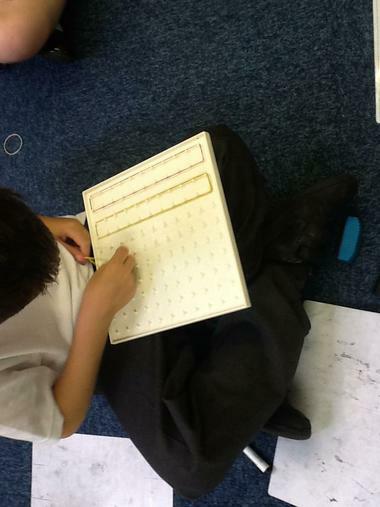 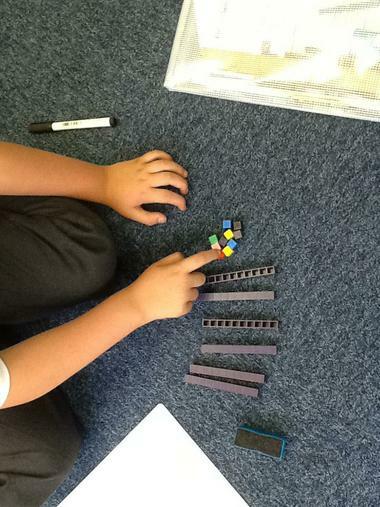 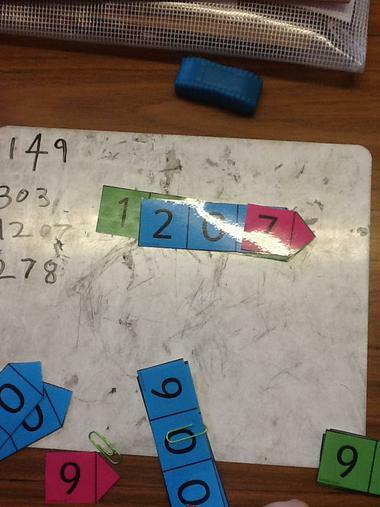 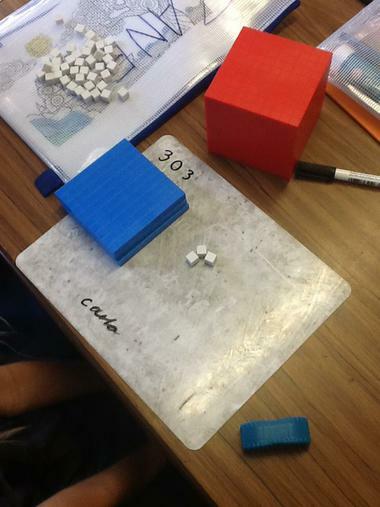 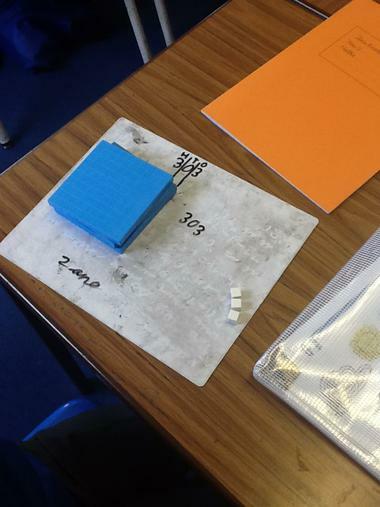 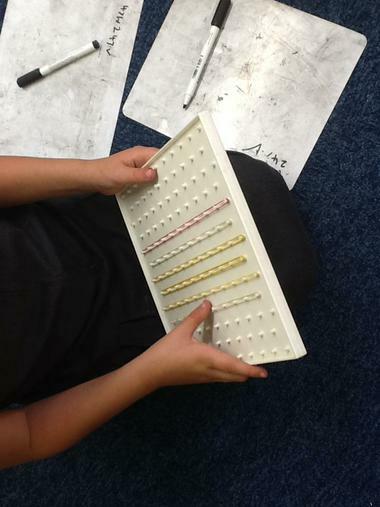 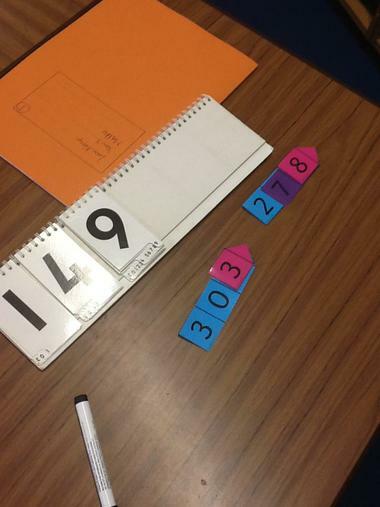 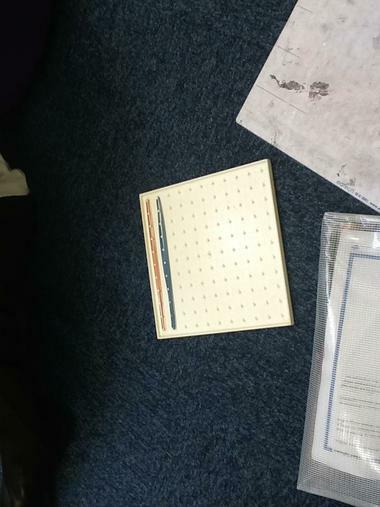 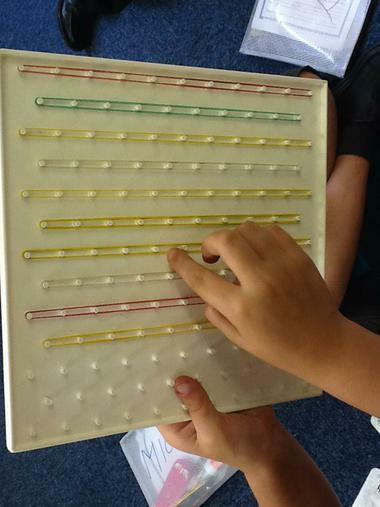 They had to use practical objects to show the place value in 3 digit numbers. 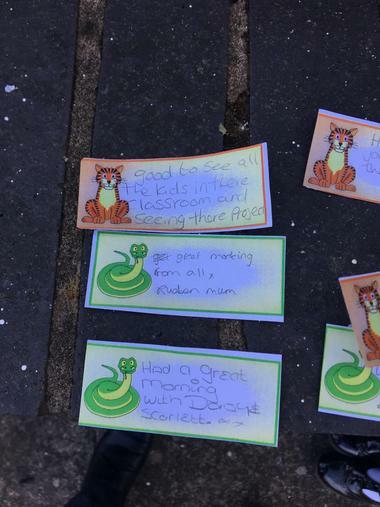 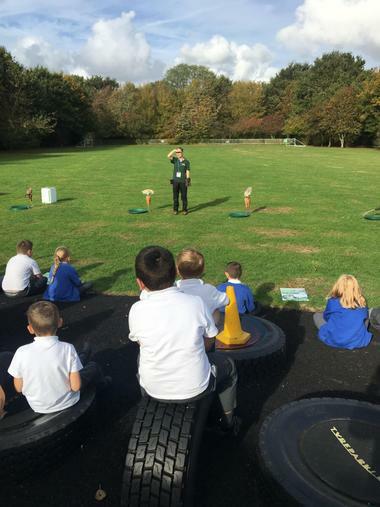 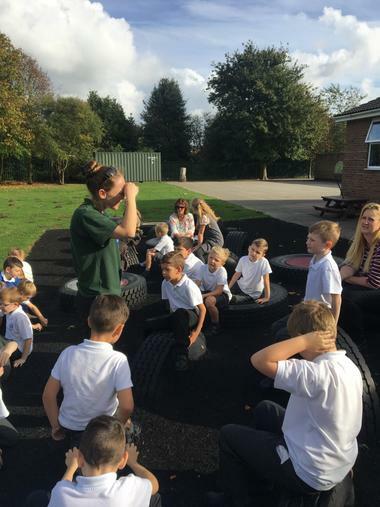 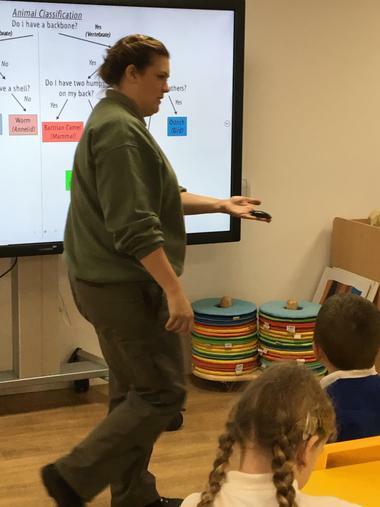 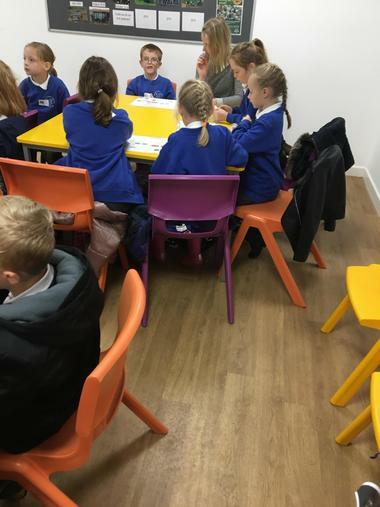 The children had a very informative visit today from an NSPCC representative who taught them all about different kinds of abuse and who trusted adults were that they could talk to if they had any worries. 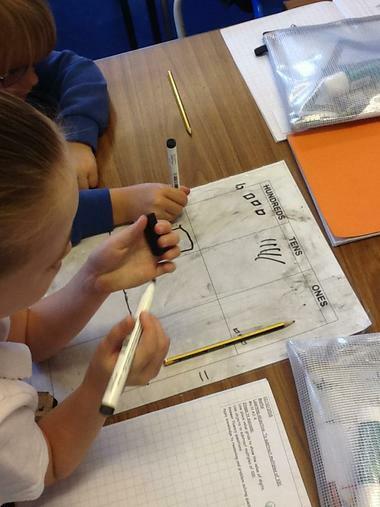 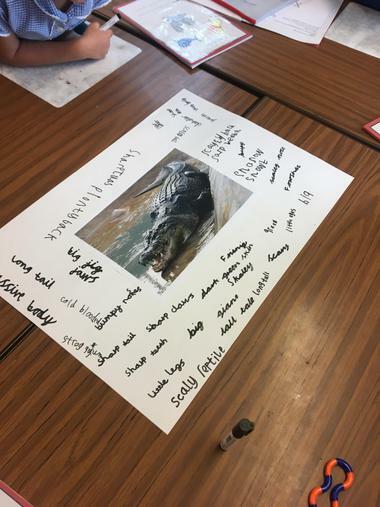 This afternoon, Year 3 become palaeontologists and found out how fossils are formed. 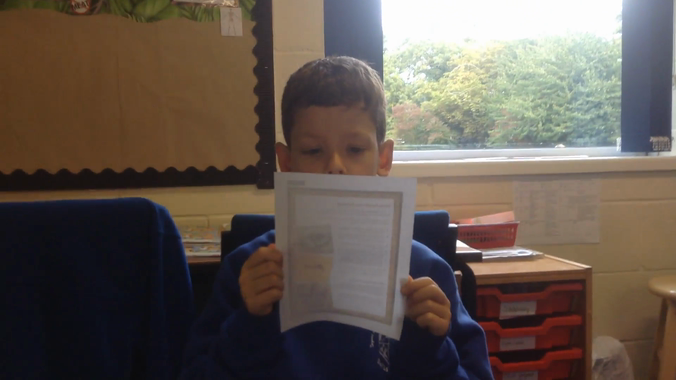 They then had to become documentary narrators and create a short video clip about how fossils are formed! 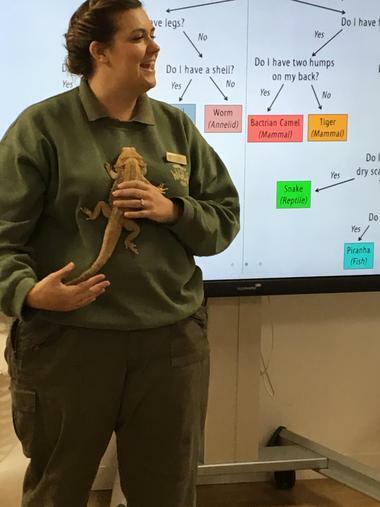 (Unfortunately, most of the video files are too big to upload to here but they are VERY GOOD and informative)!! 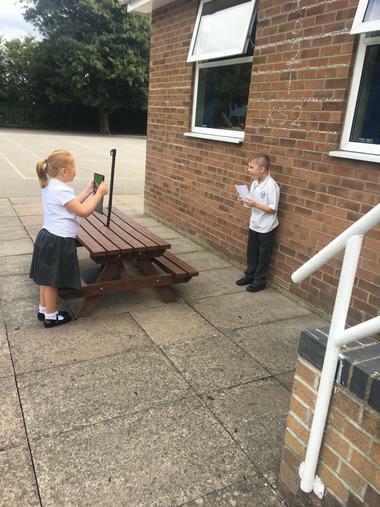 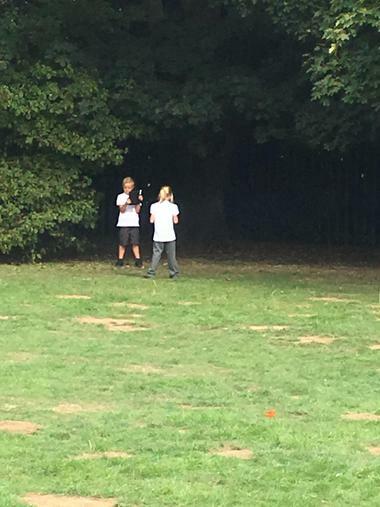 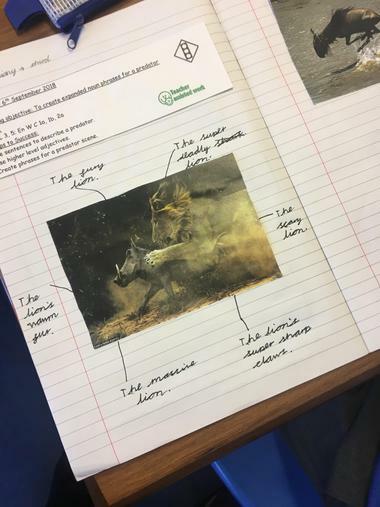 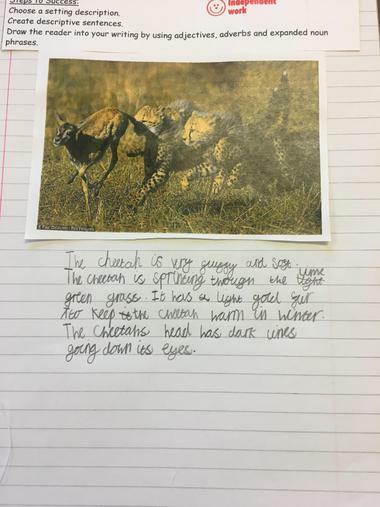 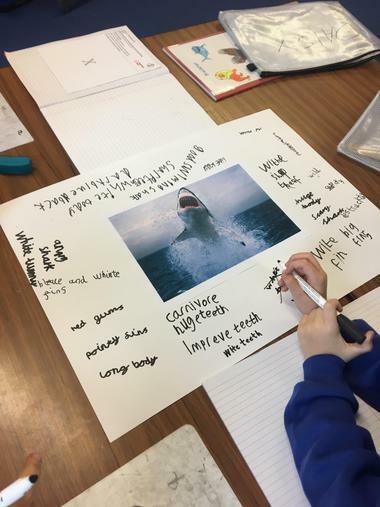 This morning, Year 3 created some noun phrases for different predators in action shots. 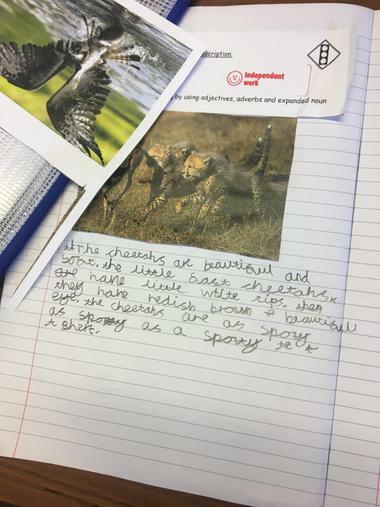 They had to include adjectives along with nouns in their phrases to describe what they could see. 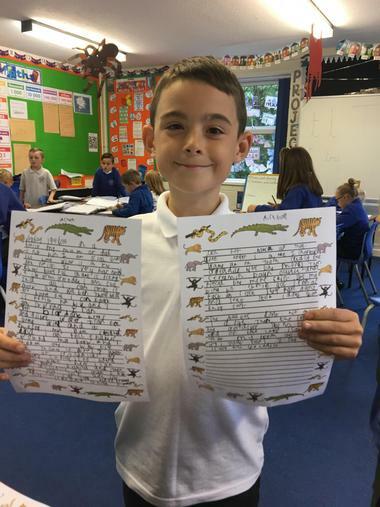 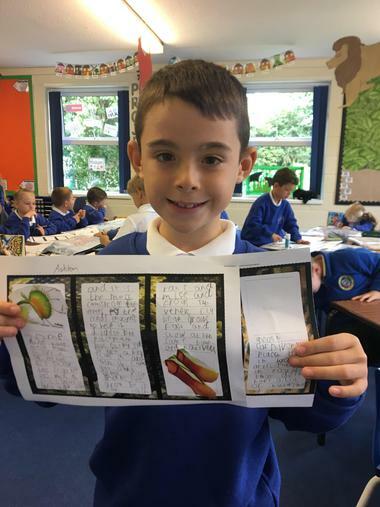 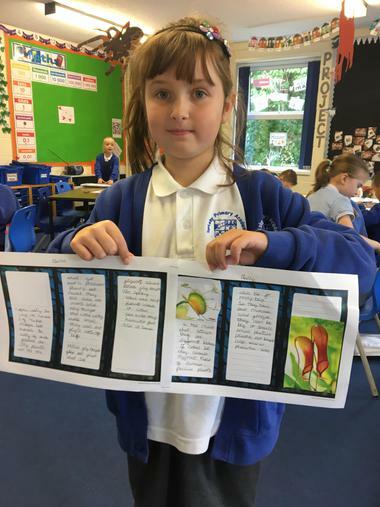 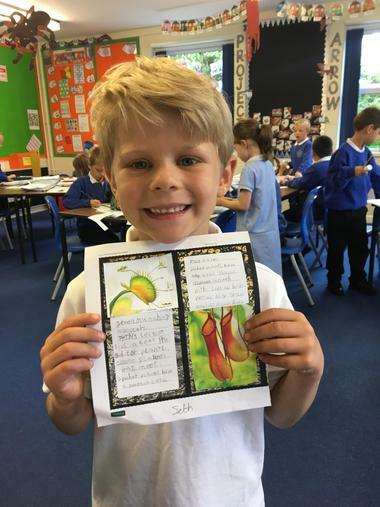 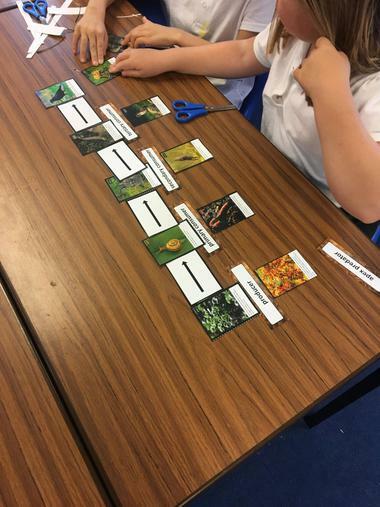 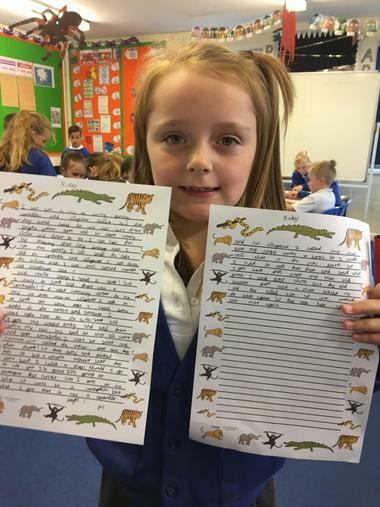 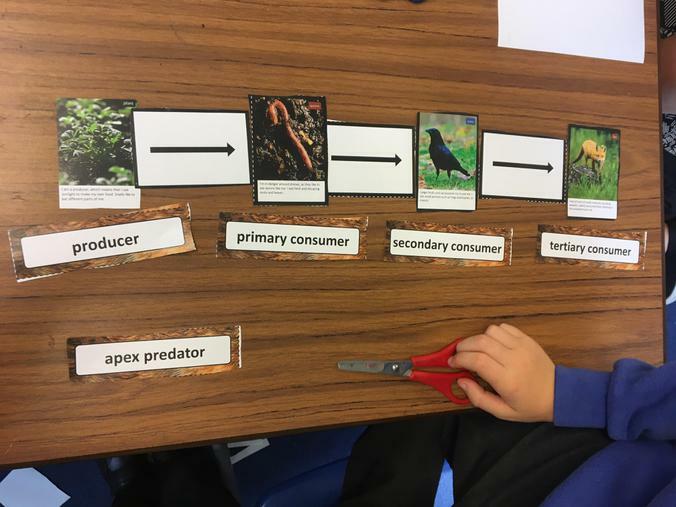 This afternoon, Year 3 looked at food chains and created their own for local woodland animals. 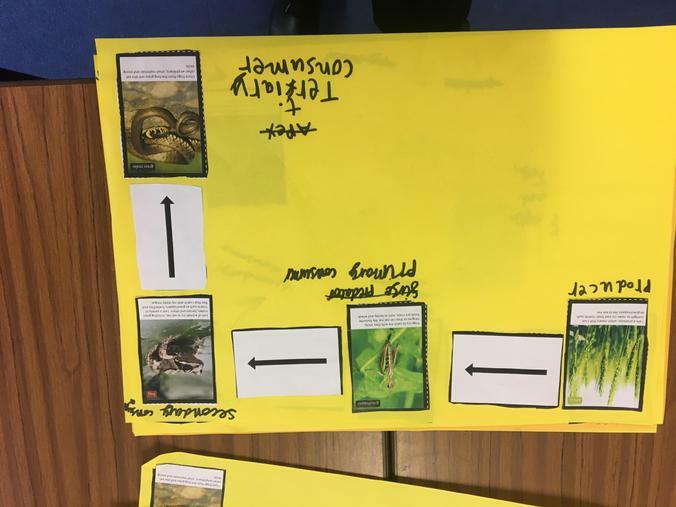 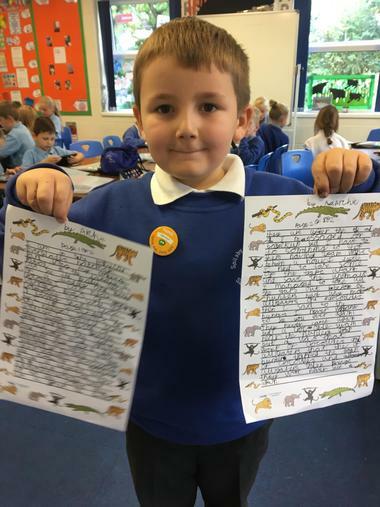 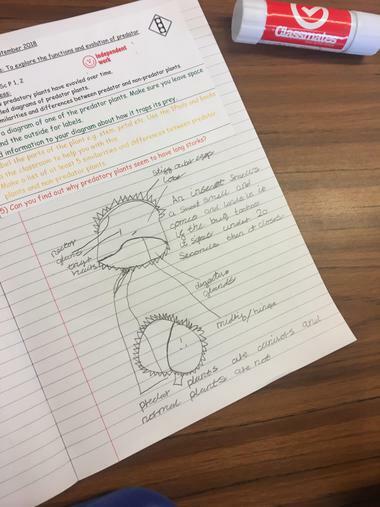 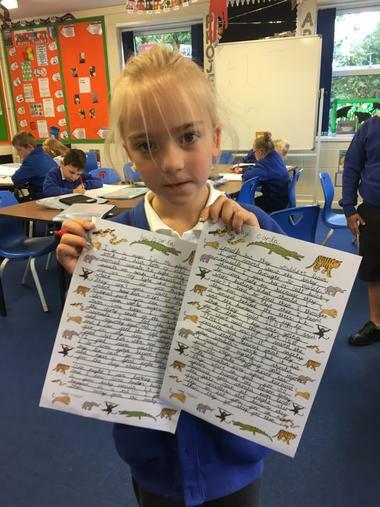 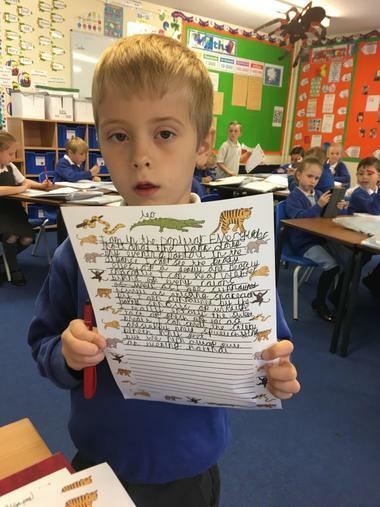 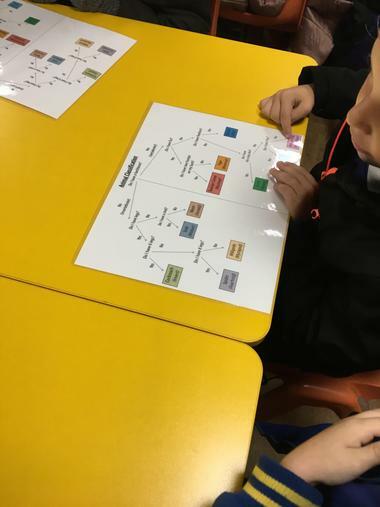 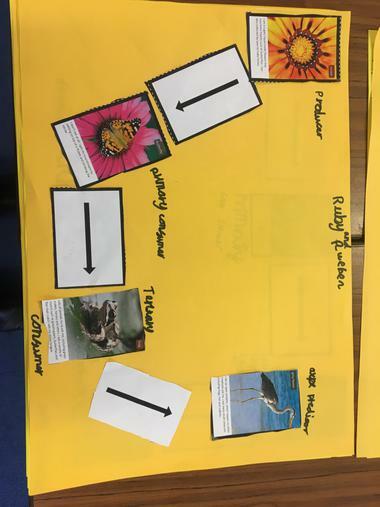 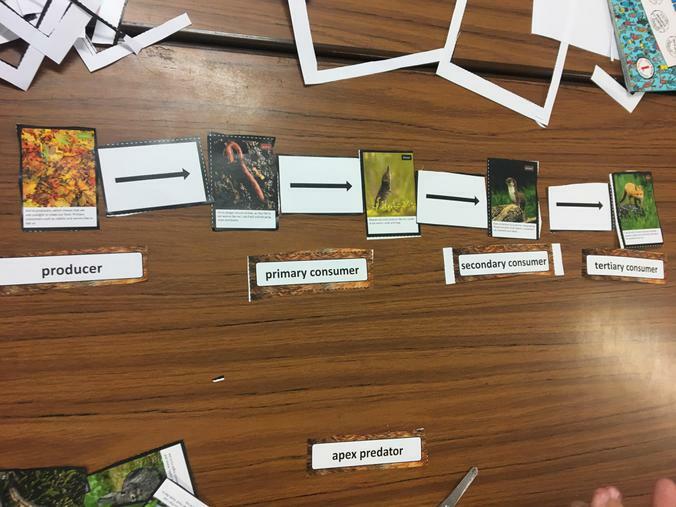 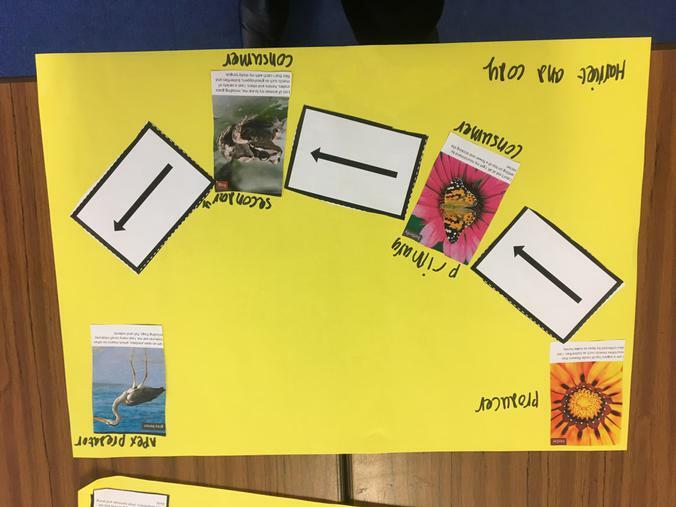 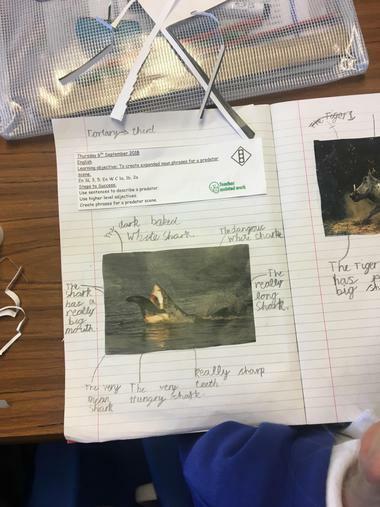 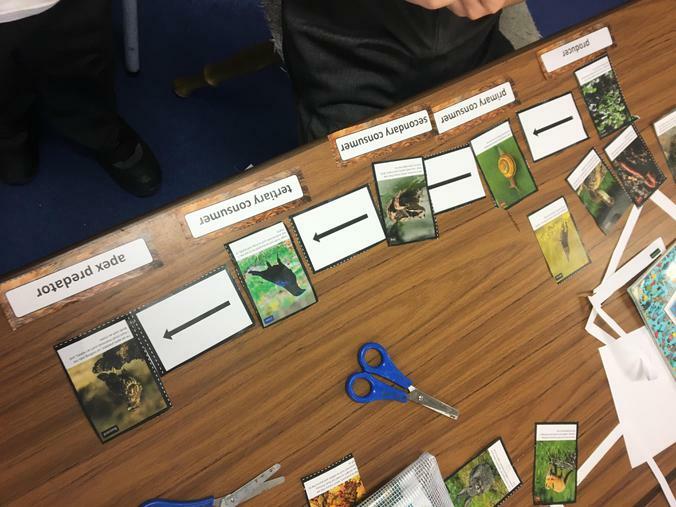 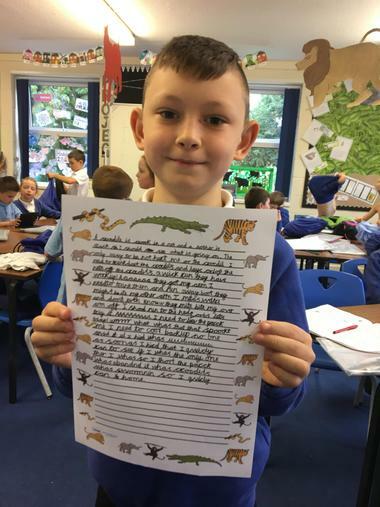 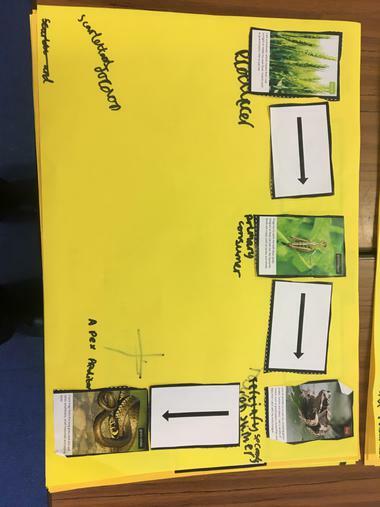 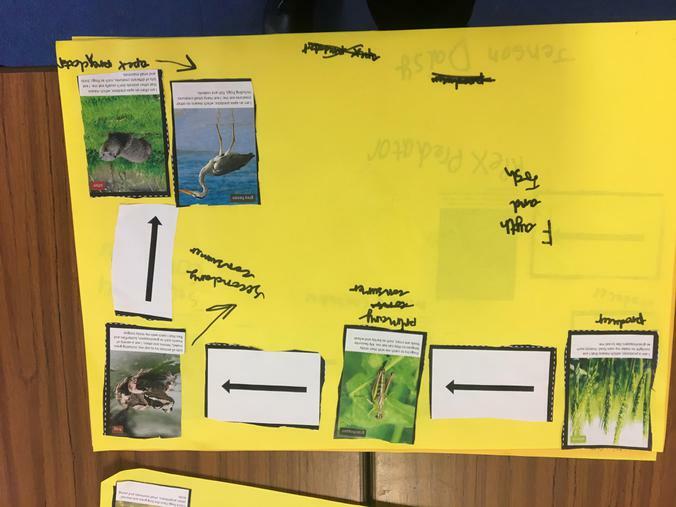 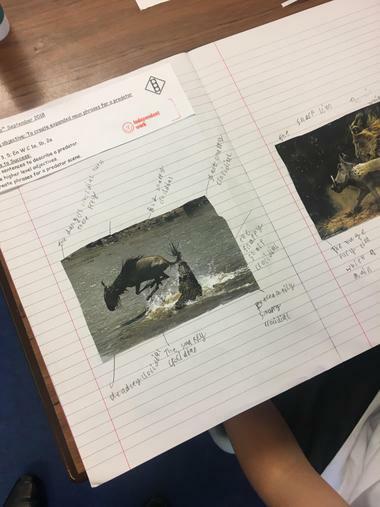 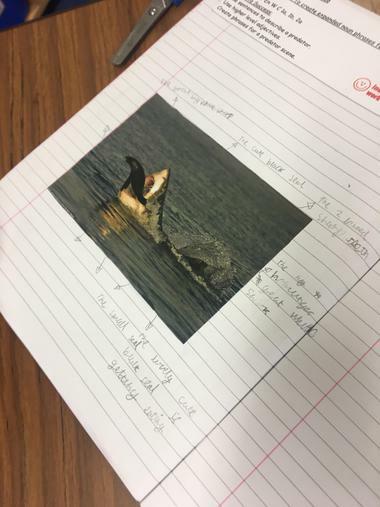 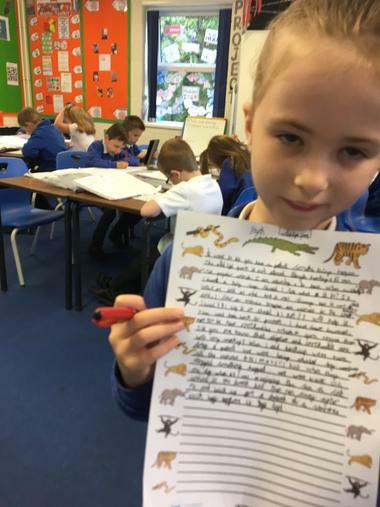 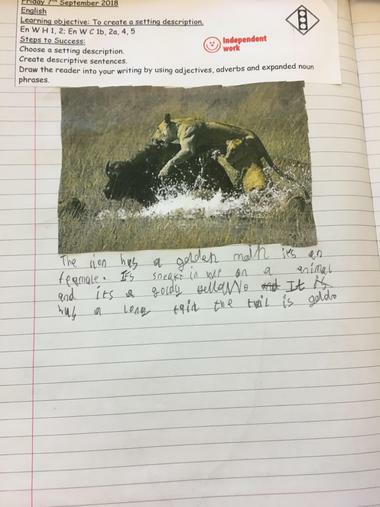 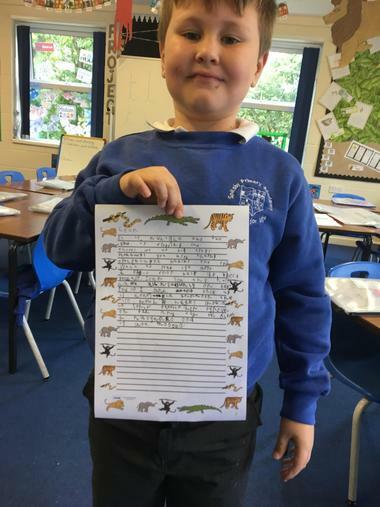 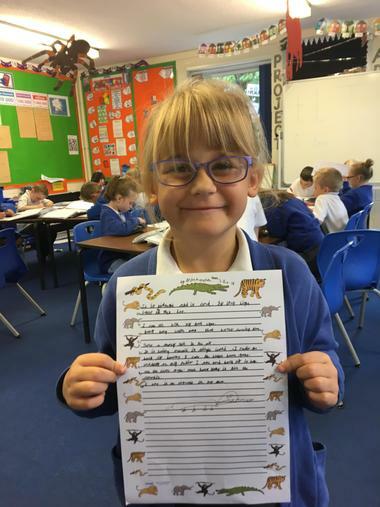 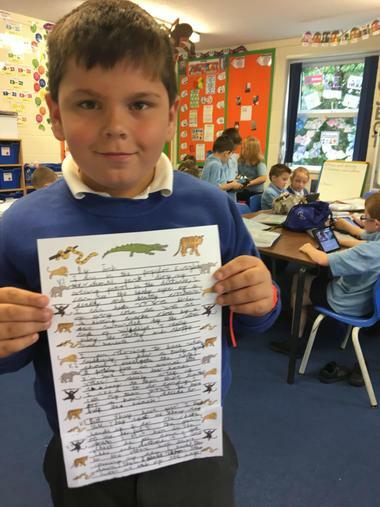 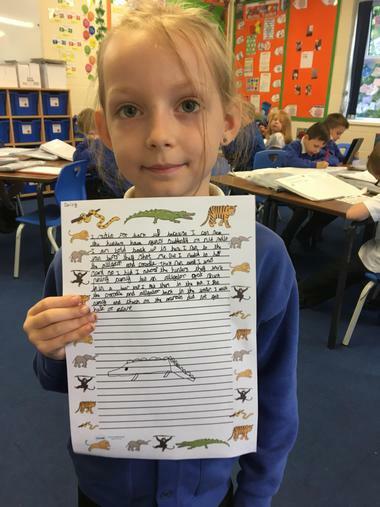 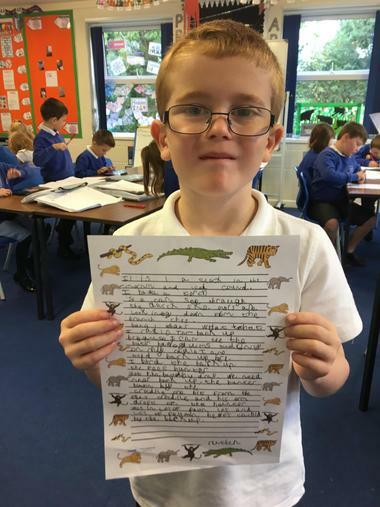 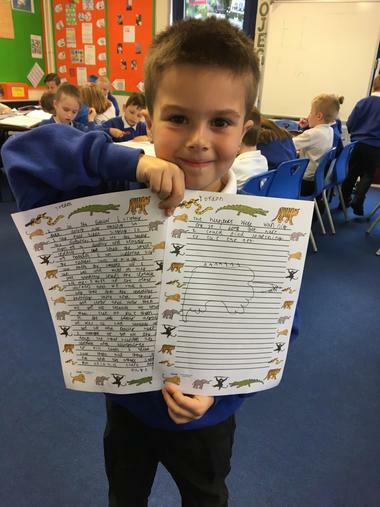 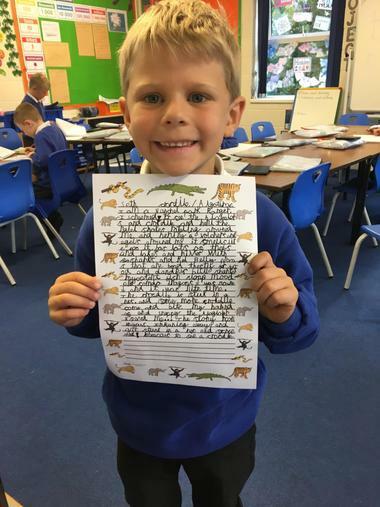 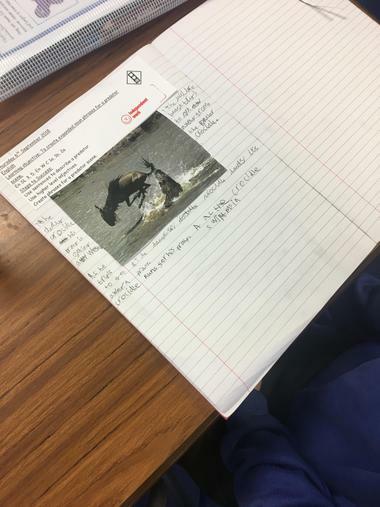 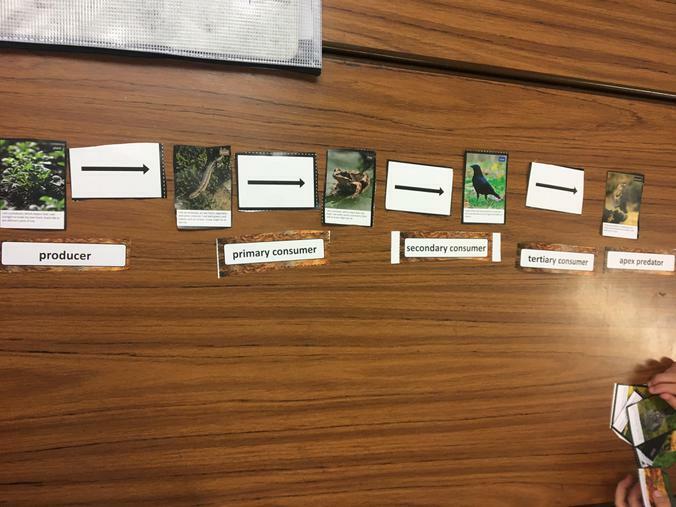 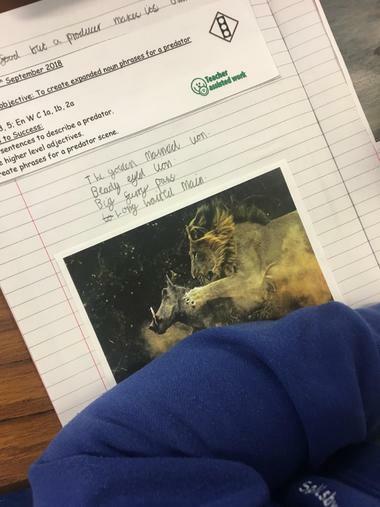 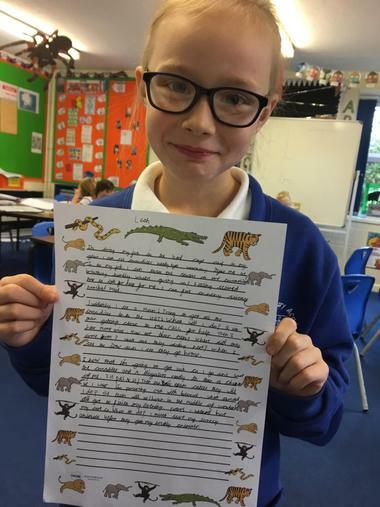 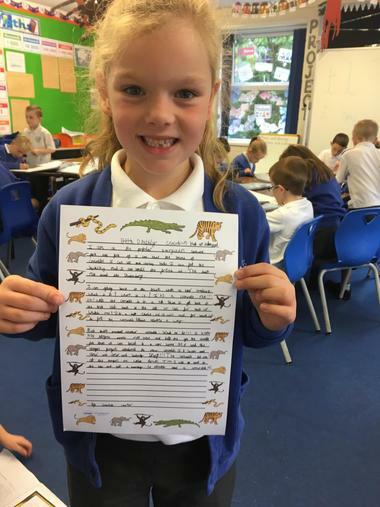 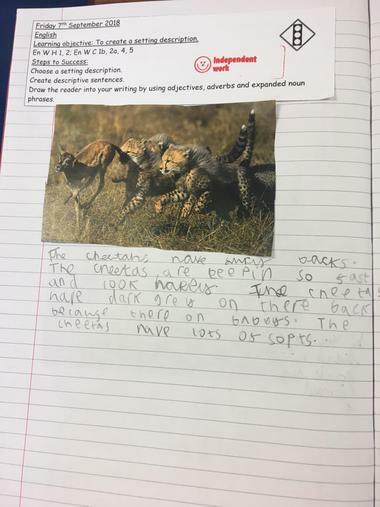 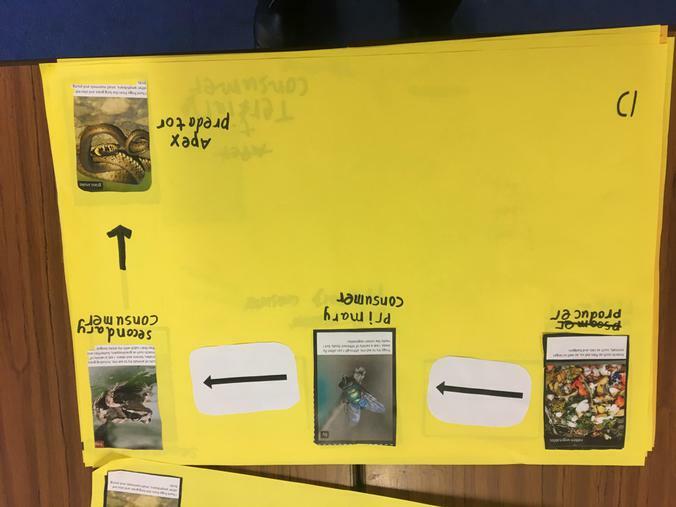 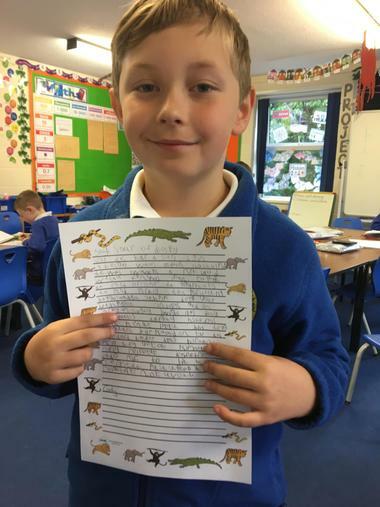 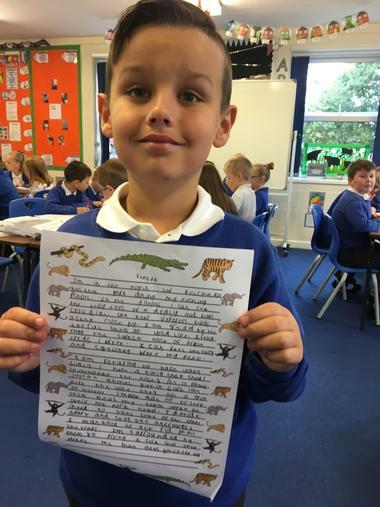 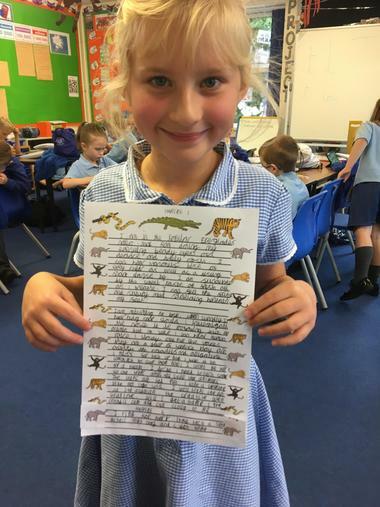 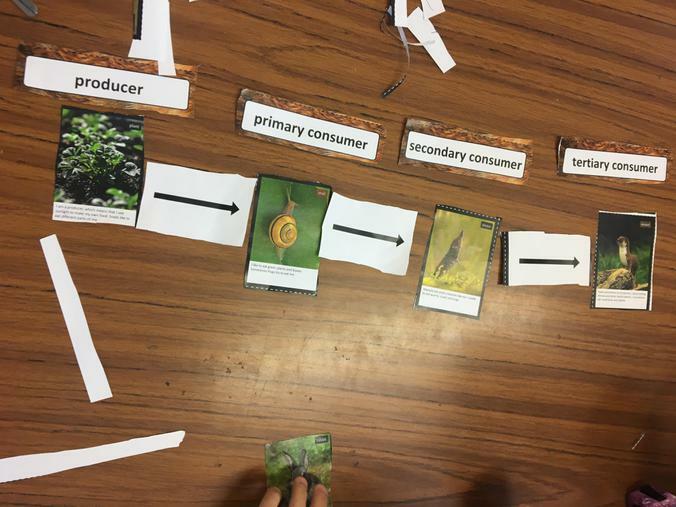 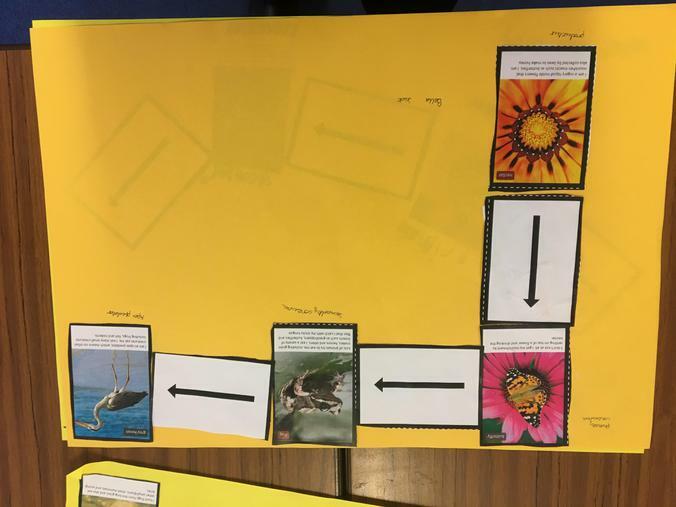 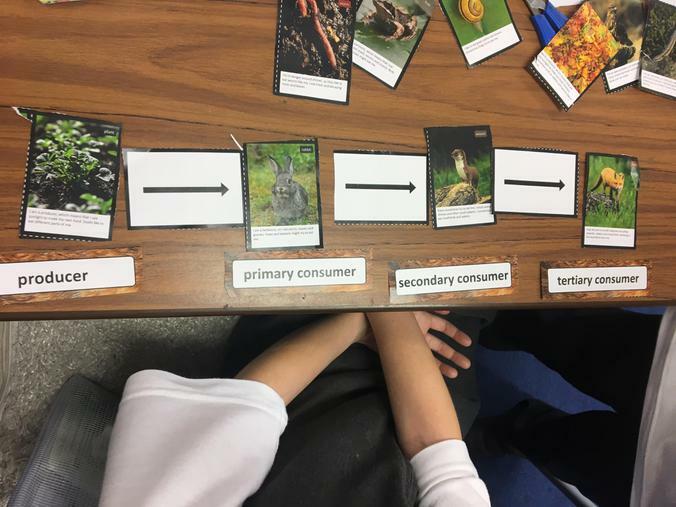 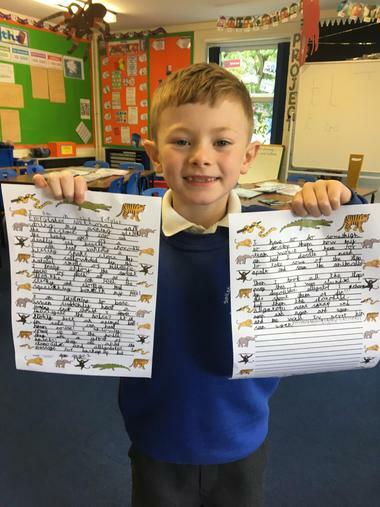 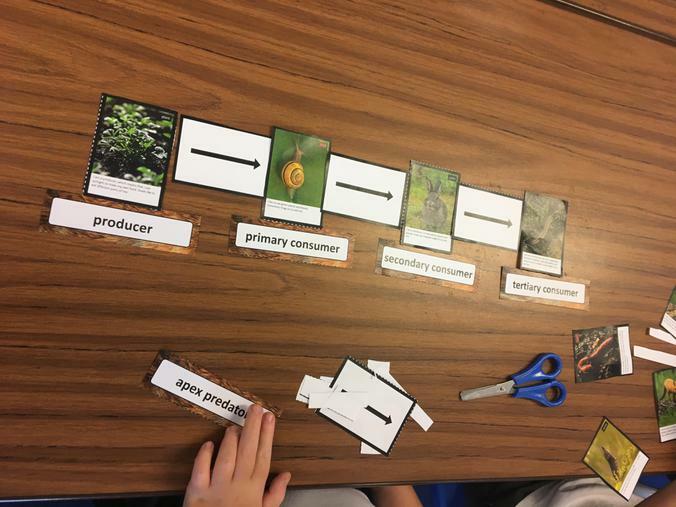 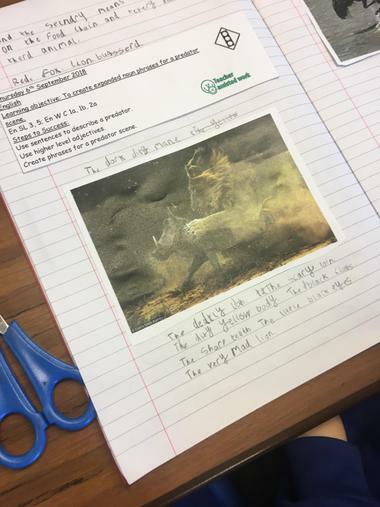 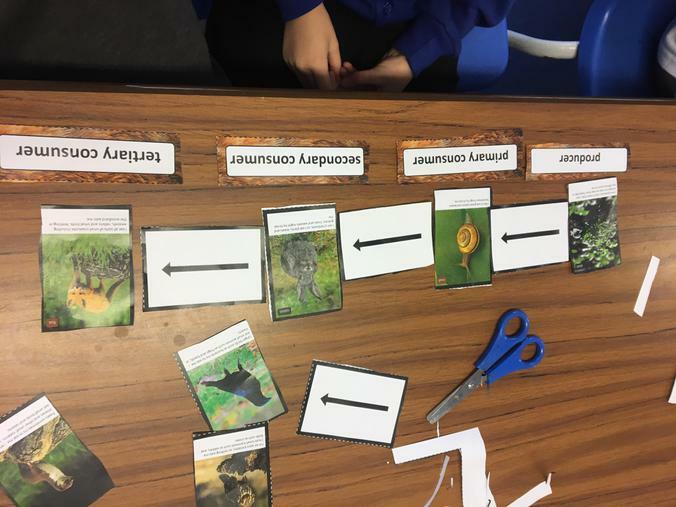 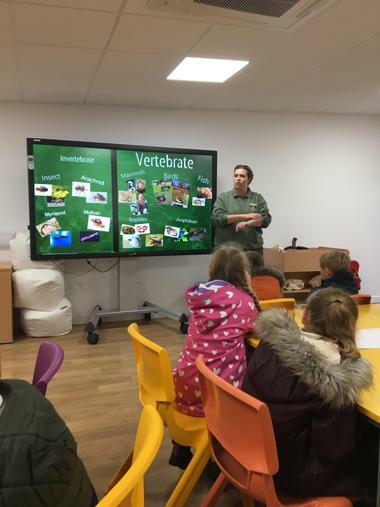 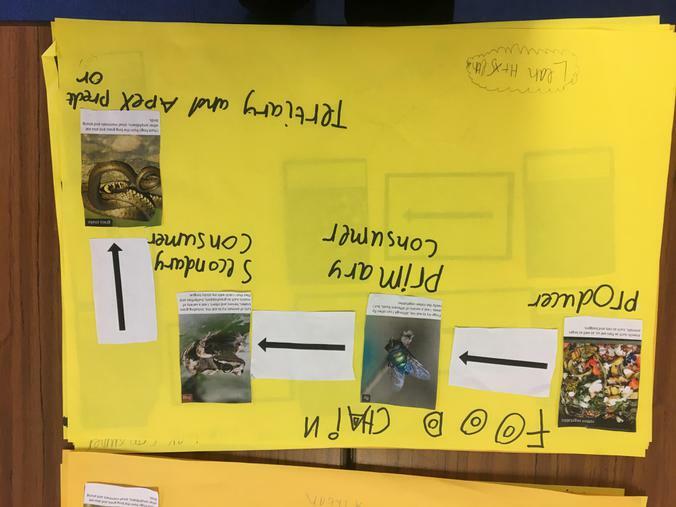 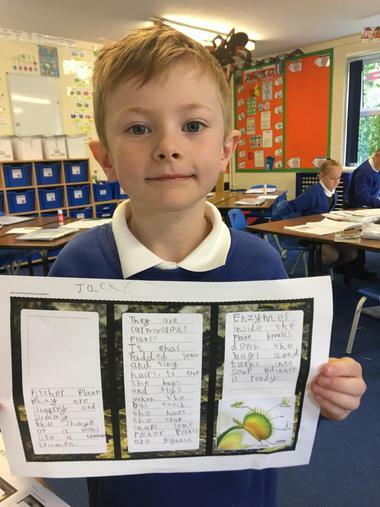 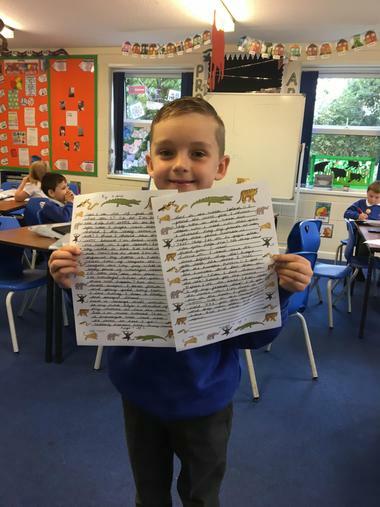 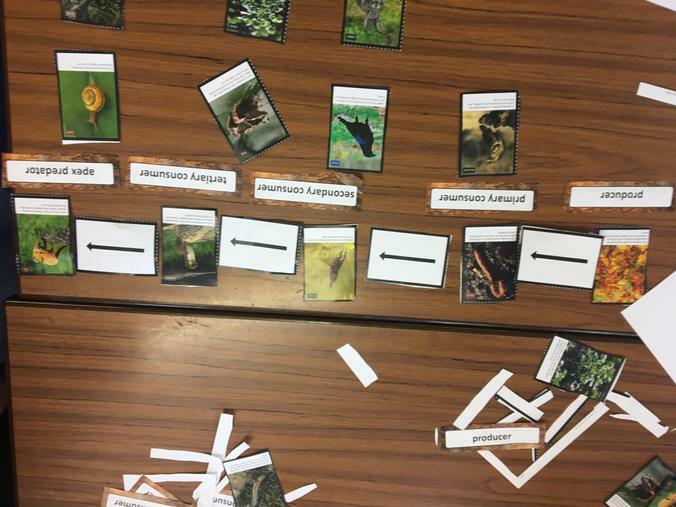 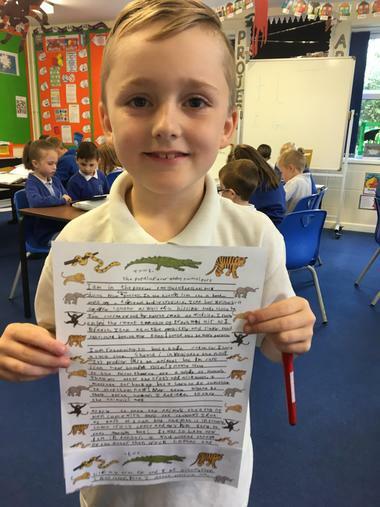 They had to use the correct technical language to describe the different parts of the food chains including: producer, primary consumer, secondary consumer, tertiary consumer as well as understanding what an apex predator is. 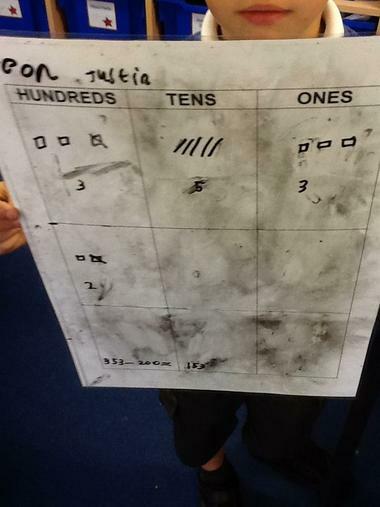 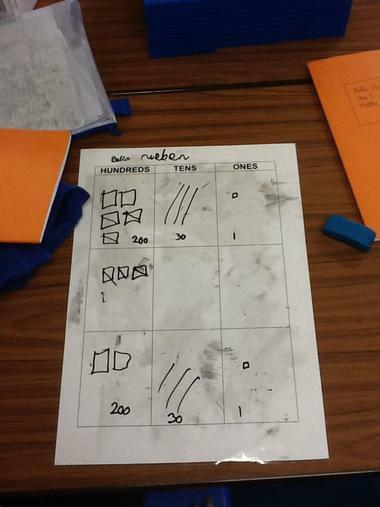 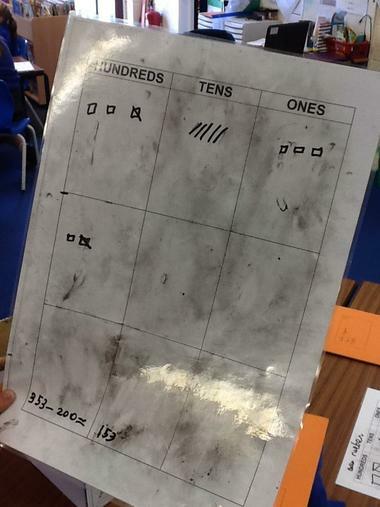 Today, the children were exploring numbers and looking at different ways of representing numbers up to 100 and then up to 1000. 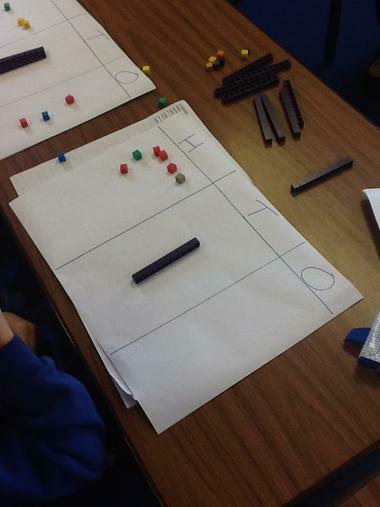 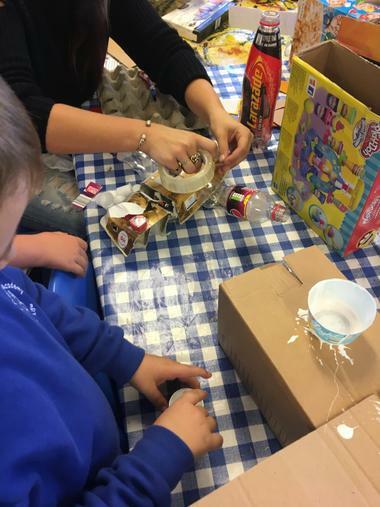 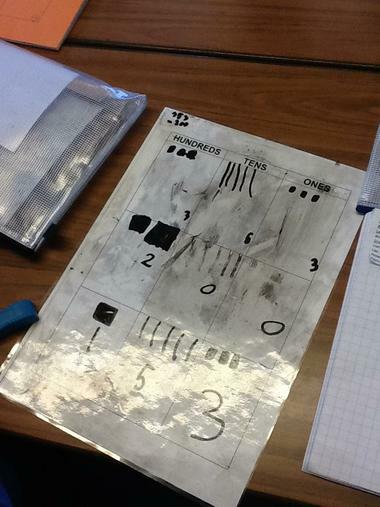 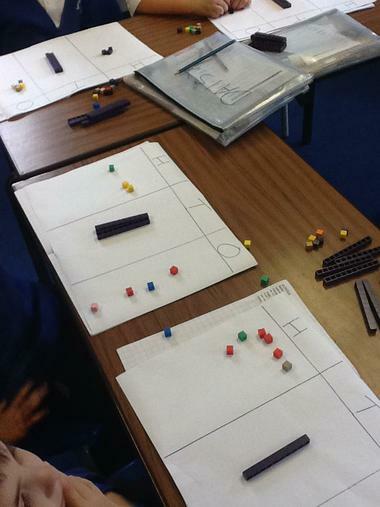 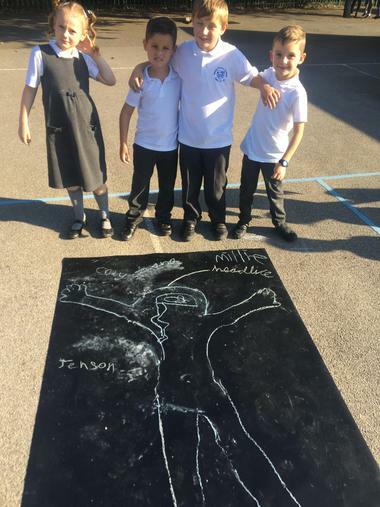 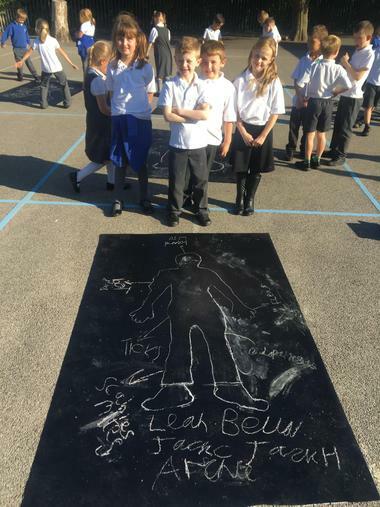 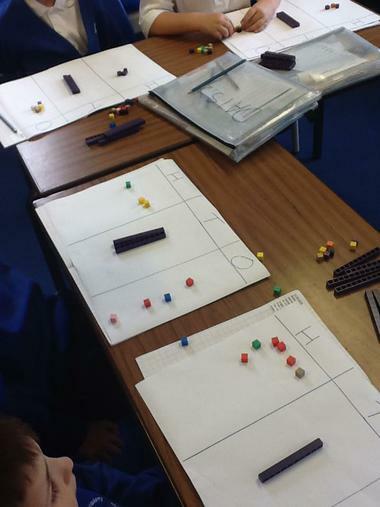 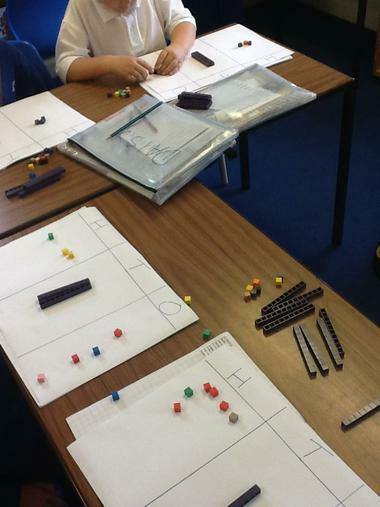 They had to use a variety of resources and objects to help with representing the different values. 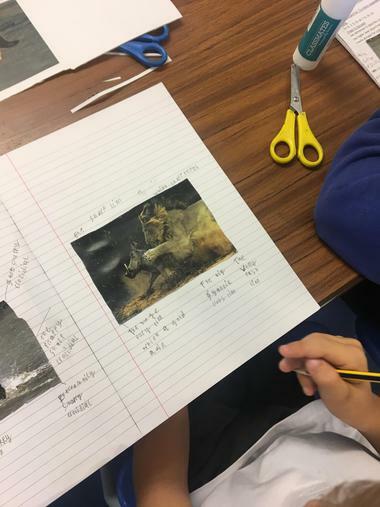 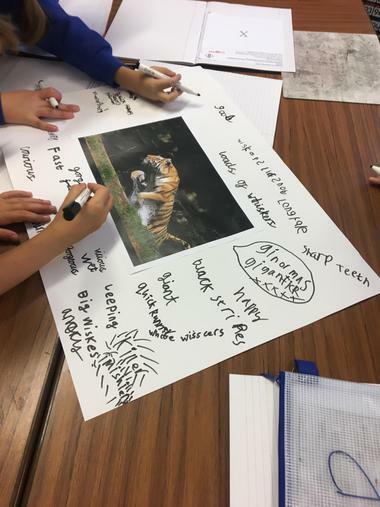 A super start to the school year and a new Key Stage for Year 3 this morning as they created lots of adjectives to describe the predators in the pictures.